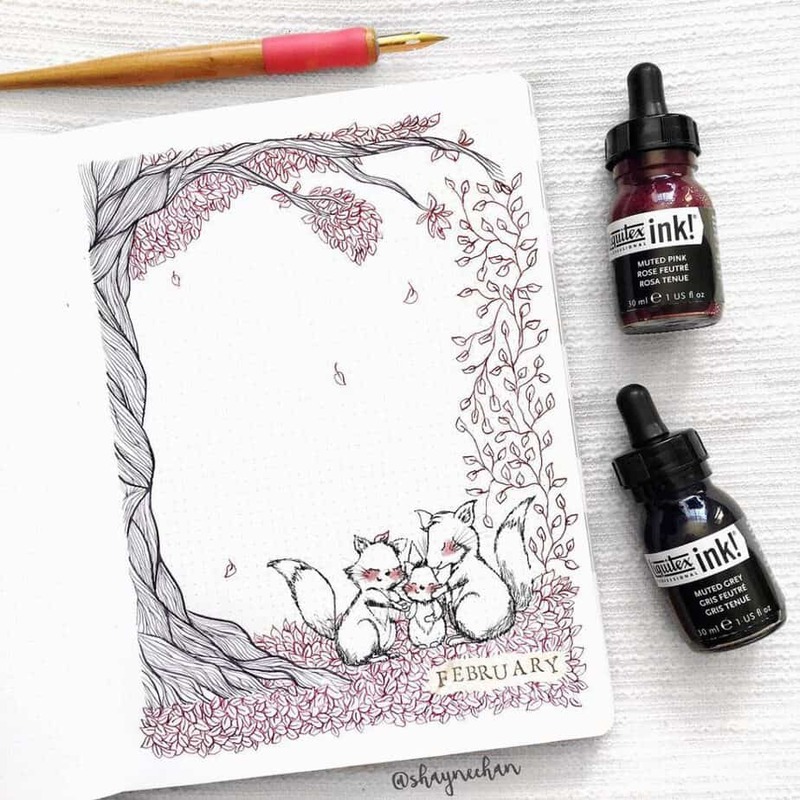 Have you ever wondered what’s up with those gorgeous illustrations in bullet journals? You know, the one that has a beautiful drawing and the name of a month on it? That page is a bullet journal cover page. They are some of the most interesting, unique, and detailed spreads one will find in a bullet journal. But why do people include a cover page in their bullet journals? What’s the necessity? Are they even necessary to have? In one sense, there isn’t a lot of purpose behind the bullet journal cover page. They generally don’t include important information. The monthly calendar page can search as a separation between months just fine on its own. But there is more to a cover page than just a pretty picture. 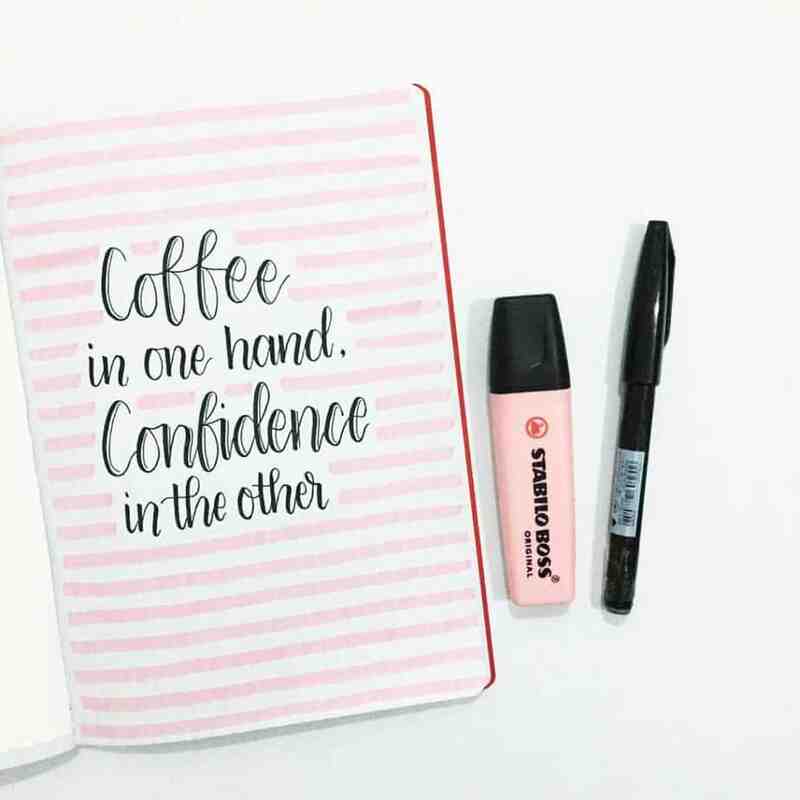 By the end of this article, you’ll have a good sense of what the bullet journal cover page is all about. You will have the information to determine if it’s for you, or if it’s a waste of time. 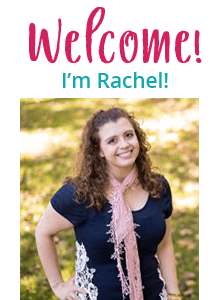 Bonus- you will also receive tons of beautiful inspiration and ideas to get you started on creating an epic cover page in your own bullet journal. So if the cover page is literally just a picture and the name of a month, why is it so important? 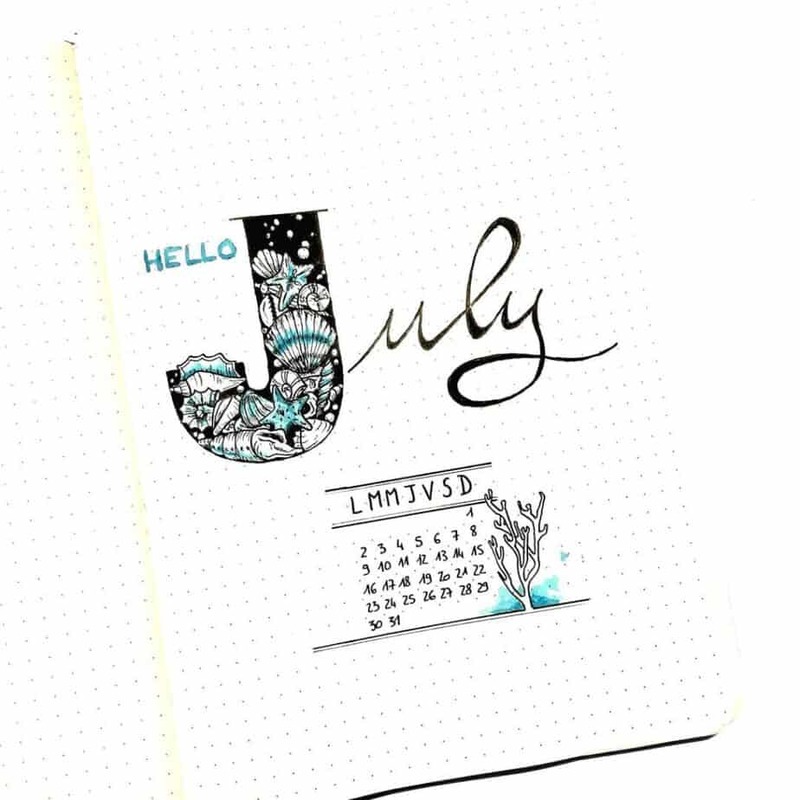 First, it can provide a beautiful structure to separate the months within a bullet journal. They offer a lot more flexibility compared to the traditional monthly calendar. For instance, most calendars are built over the span of two pages in a bullet journal notebook. But the cover page can span both one and two pages in a notebook. In fact, more often than not, a cover page consists of just one page. If you’re stuck with an awkward page left over between months, the cover page can be a fun way to be creative while not wasting space. However, in my opinion, the reason people like the cover page so much is it’s the artist’s free space to show off their full creativity. 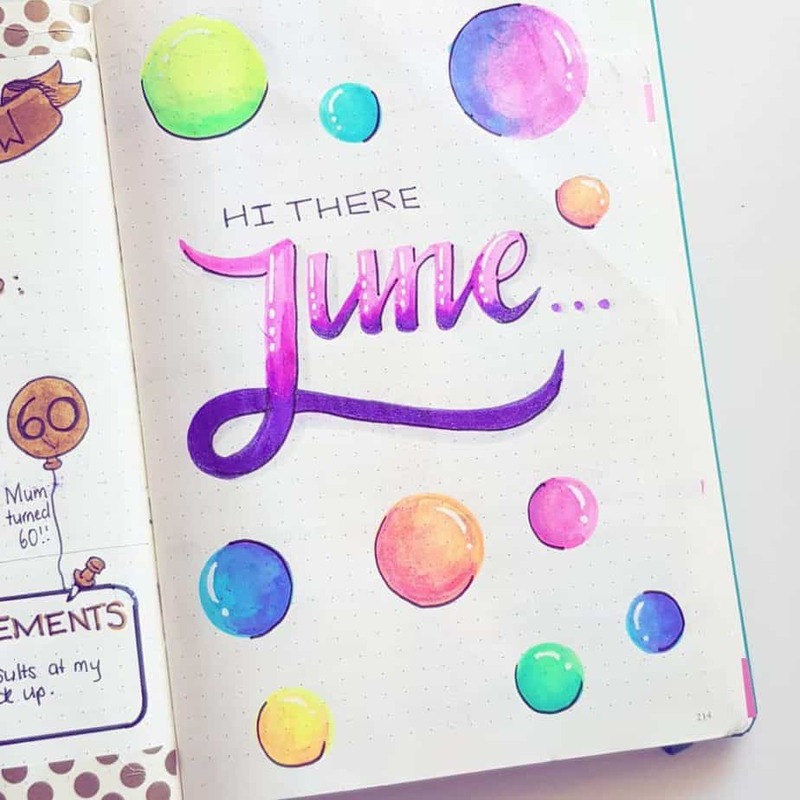 With most bullet journal spreads taking up a good chunk of page space, artists are a bit limited with what they can do with a page when it comes to doodles and designs. The cover page is a virtual ‘blank slate’ in which an artist can just go nuts and have fun in creation mode. 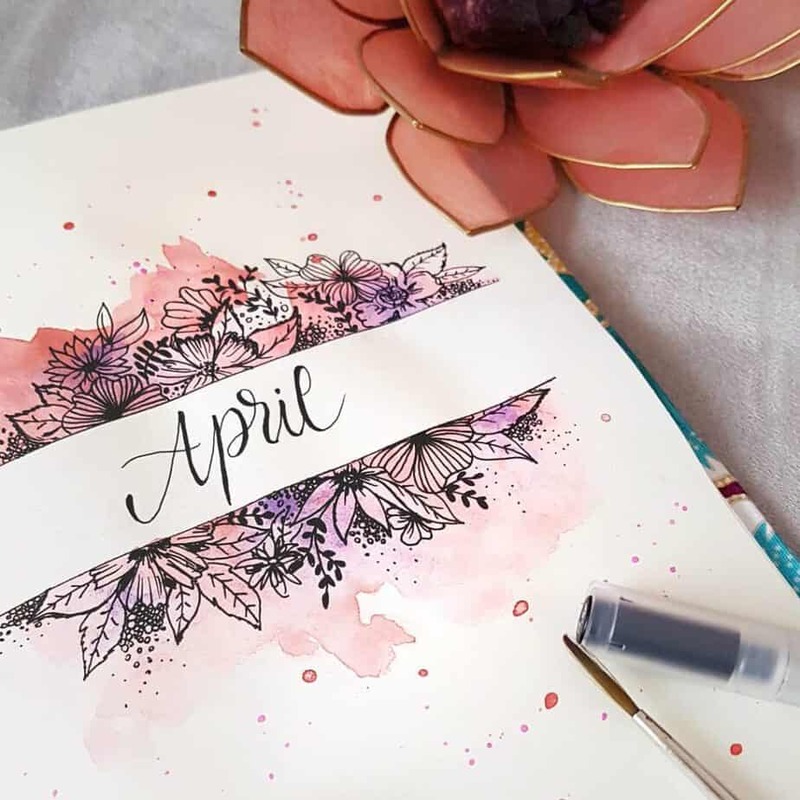 There are probably hundreds of examples of bullet journal cover page ideas for each month of the year if you search hard enough online. Since it’s the place where the artist can ‘show off’, everybody loves to post their examples all over their blogs and social media. I compiled the best cover page spreads from the fans at @planningmindfully over on Instagram. Before I delve into the goods if you choose to use these ideas for inspiration remember this! You can always mix and match cover pages from month-to-month. It’s your choice to determine what inspires you. There’s no hard or fast rule you have to stick with certain themes with certain months, either. If you want to do Christmas in July, do it! Many people love the opportunity to highlight winter themes for the first month of the year. 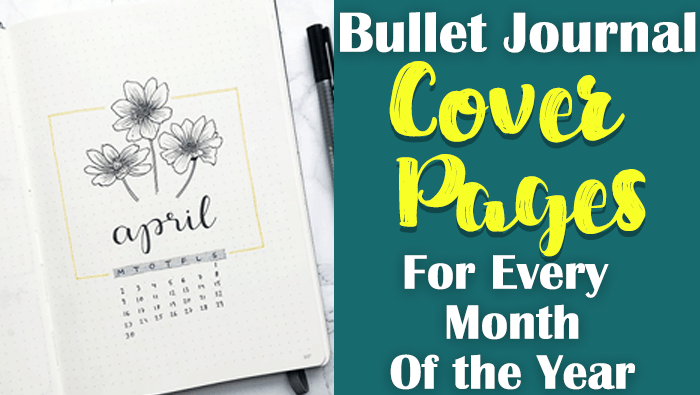 However, you’ll find a plethora of bullet journal themes in all shapes and sizes for any cover page, no matter what the month is. 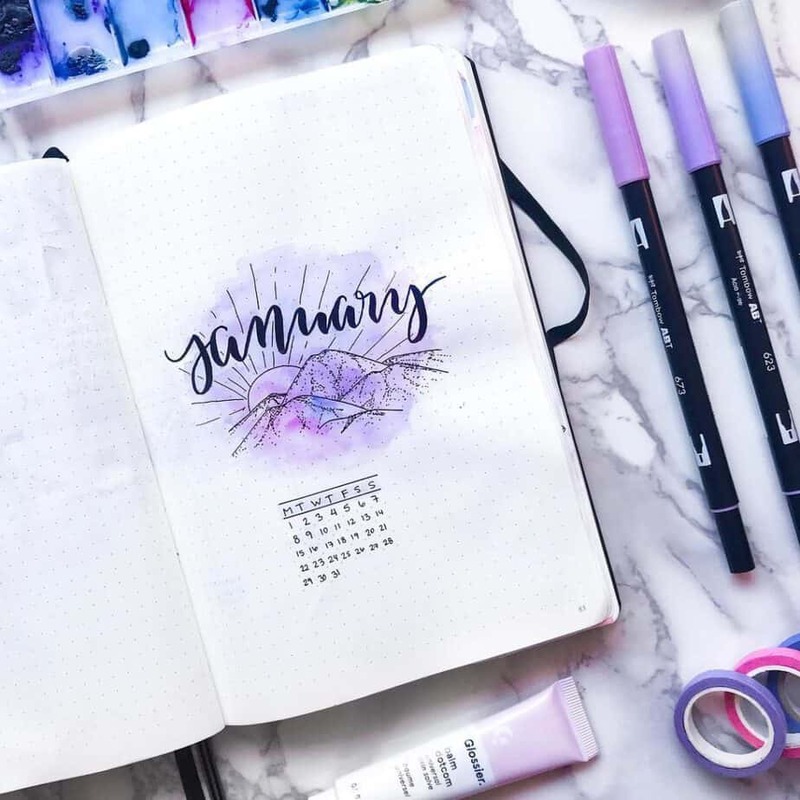 Enjoy some of my favorite cover pages for January right here! 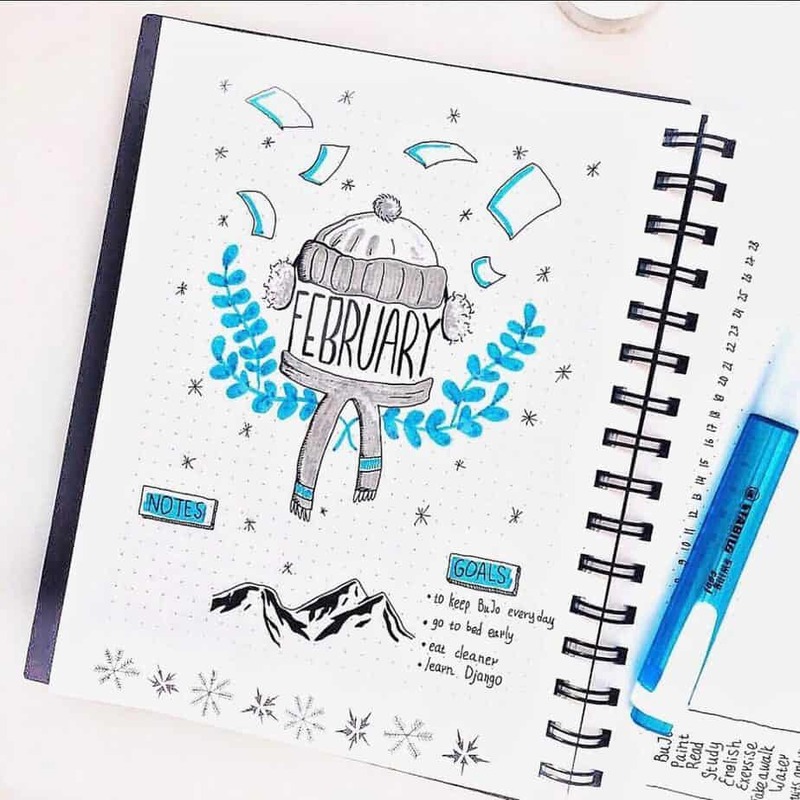 This bullet journal cover page from my friend Ashlyn is perfect for any winter cover page! I love the use of the Tombow Dual Brush Pens over the black pen on the snowflakes. 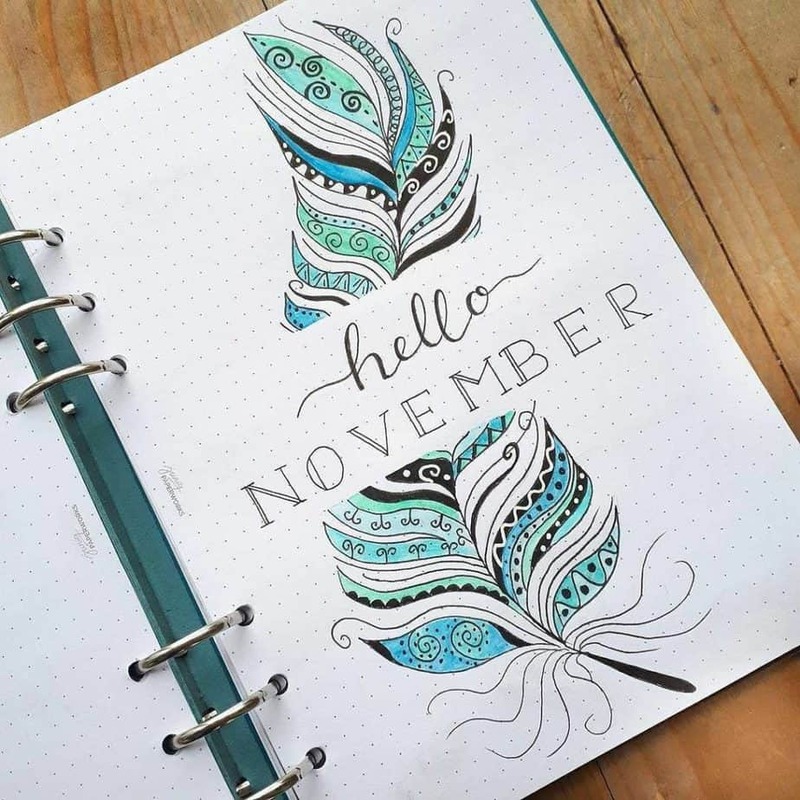 @misfit.plans always has a ton of beautiful ideas for bullet journals! 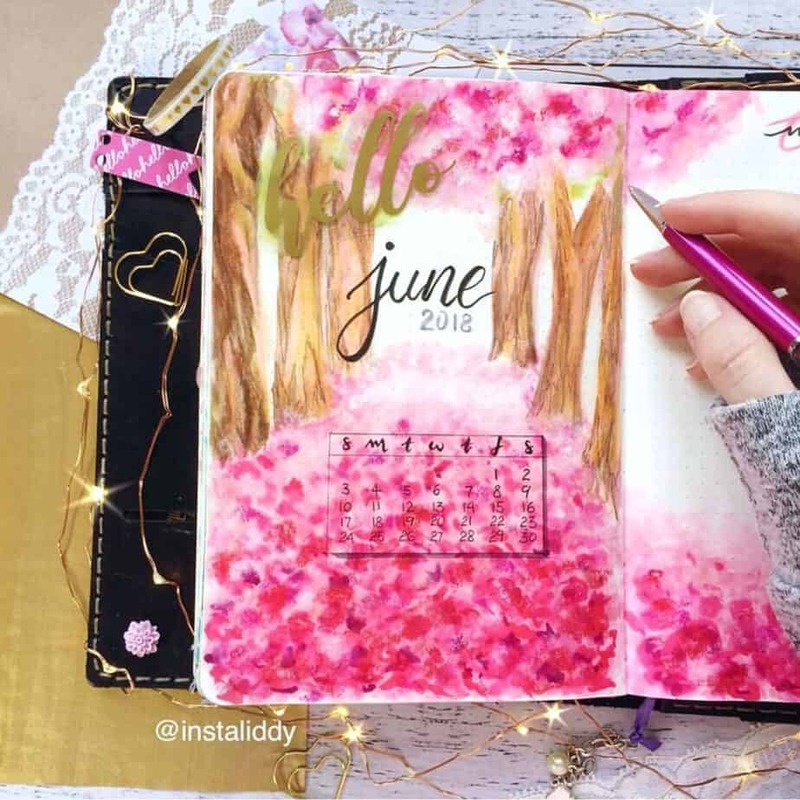 Alex has a real knack for pulling off stunning art in her bullet journal spread. I love her idea for the mountain theme. I especially enjoy the unique use of color over her drawing. This mountain theme is perfect for any month, too! Love the crisp lettering and the stars for her January cover page. A galaxy theme is another terrific option for any month of the year. 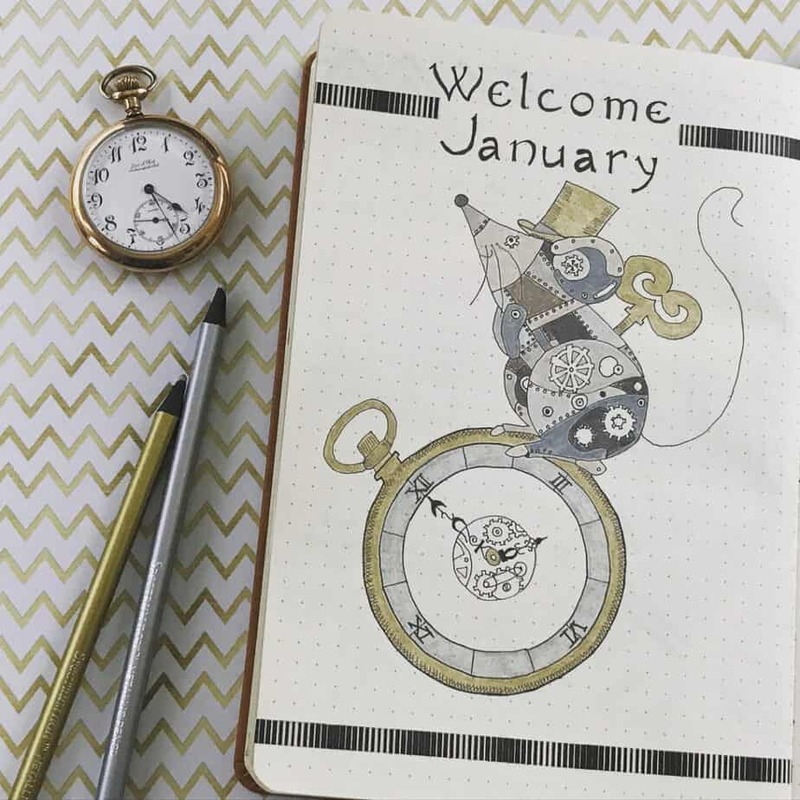 This amazingly unique spread is perfect for the New Year, featuring funky steampunk themes. I think the clock is amazing for the New Year, too! February bullet journal cover pages often reflect the common holiday of the month which is Valentine’s day. But there are a lot of other interesting ideas and concepts. 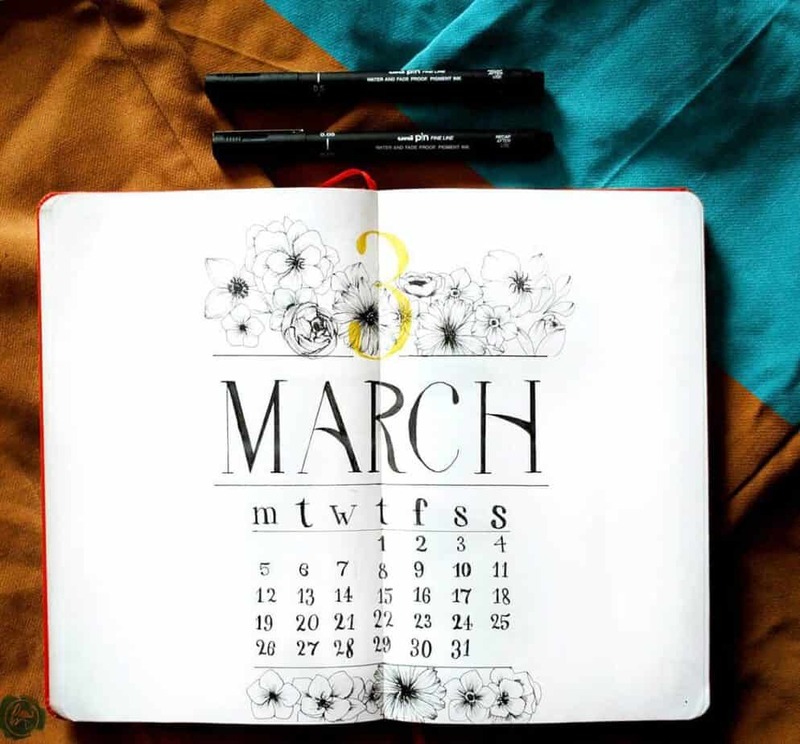 Check out these great examples of bullet journal cover pages for the month of February! @shaynechan has amazing spreads that you’ll see more of later on! This loving animal cover page is so adorable, I just had to show it off for the February bullet journal cover page. I like how she went with a pink for the leaves and accents on the animals. Suits well for the month of Valentine’s Day, don’t you think? I love how this particular cover page also includes the ability to jot down notes and goals. Most cover pages aren’t very functional, but nobody said you can’t add these items to your bullet journal layouts! @bountifulcolours made this epic bullet journal cover page! 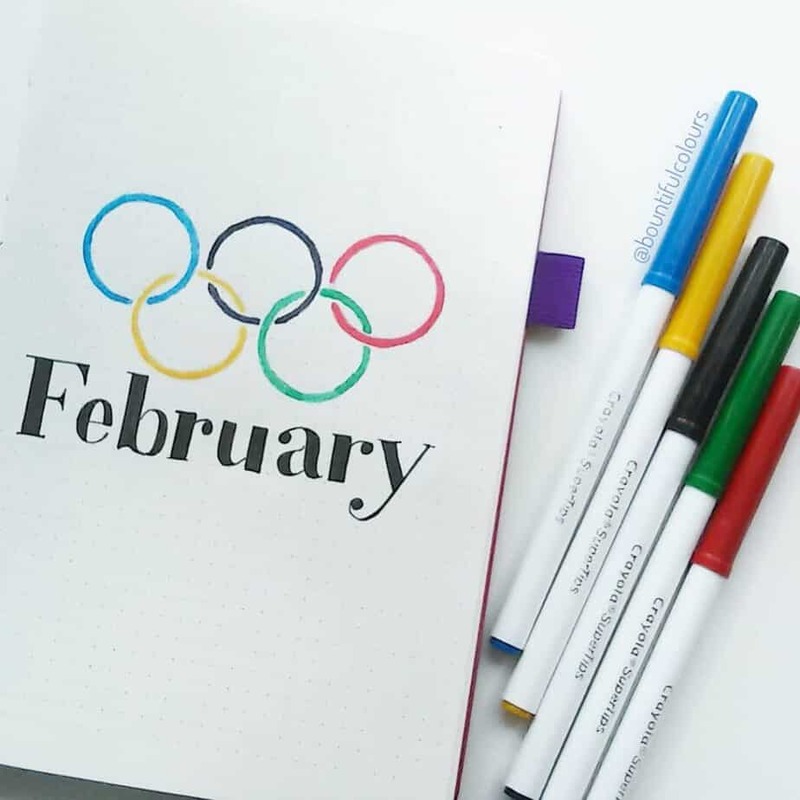 February brings the Winter Olympics, and this classy spread is a perfect way to highlight the season. I can’t get over how detailed this epic Octopus is for a February cover page! This is another great example of a cover page layout you could try for other months, as well. March often reflects the beginning of spring. 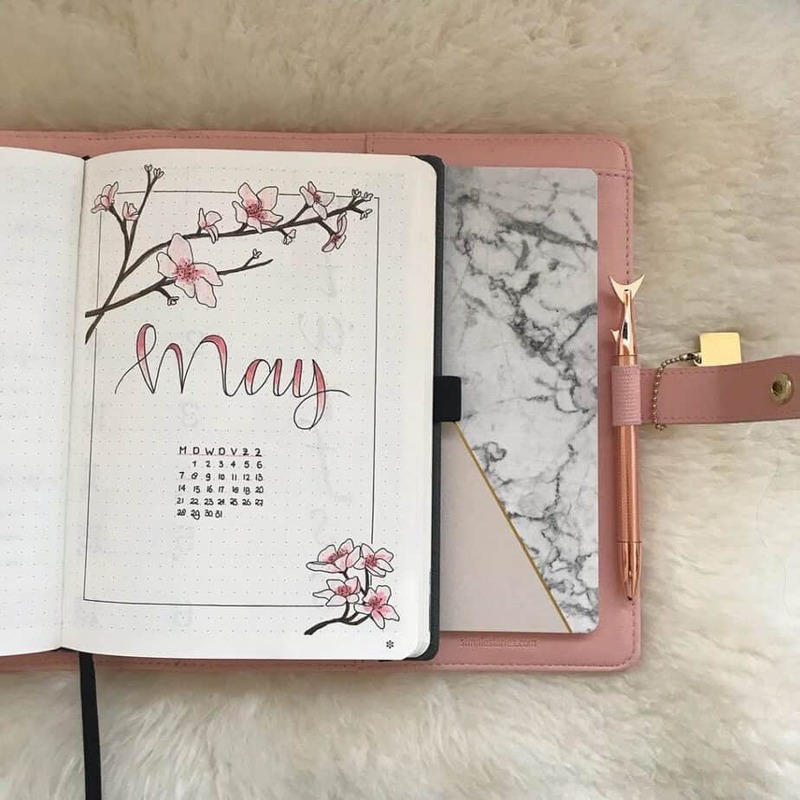 Personally, I love using spring as a theme in my bullet journal! But March also brings basketball tournaments, St. Patrick’s Day, and (sometimes!) Easter. I love that Shayne is a big lover of utilizing tools that make life easier for bullet journals. 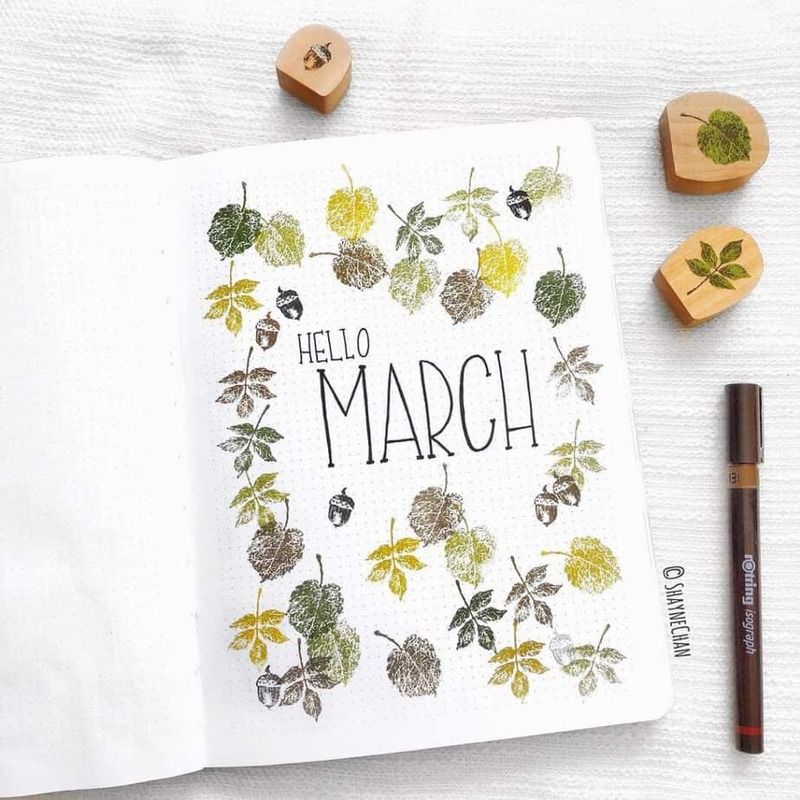 Check out her great use of stamps to make her cover page for March! 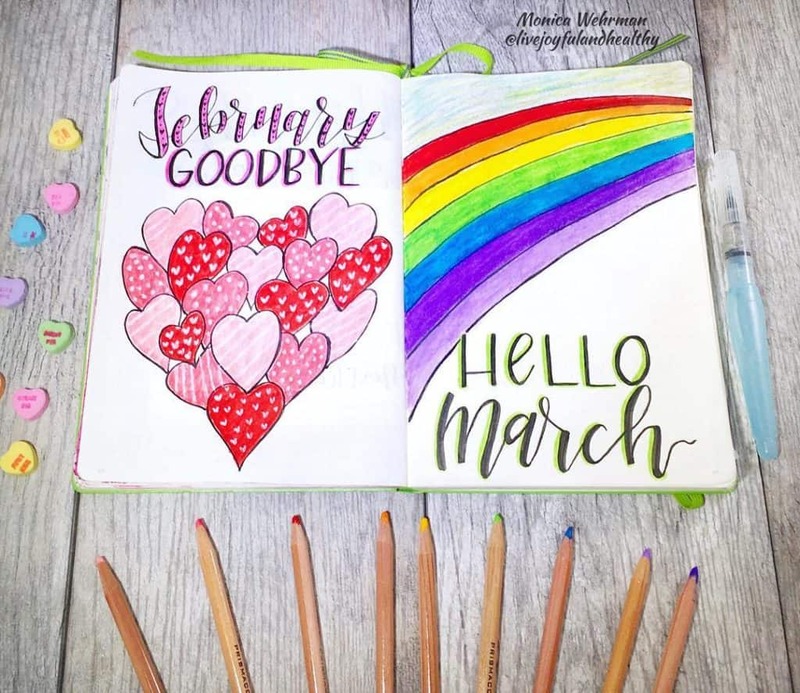 @livejoyfulandhealthy made this great ‘Hello March’ spread! I love a rainbow theme for any month of the year. I can’t get enough of the lime green accents on the lettering, too! This spread also features a ‘Goodbye’ cover page to the previous month. If you’re left with an extra page, a goodbye bullet journal cover page is another unique idea to use up your page space. 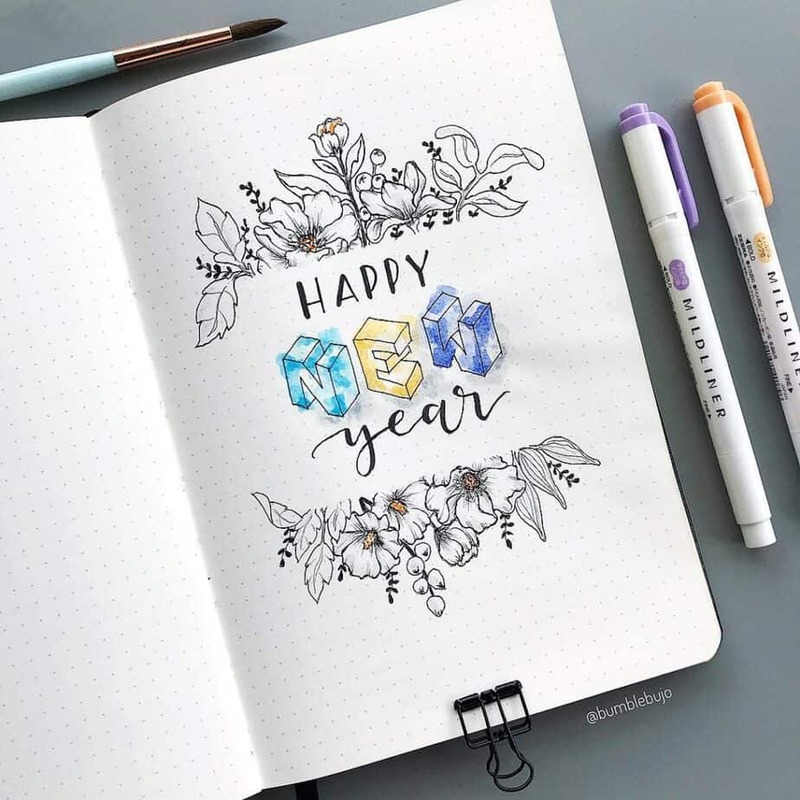 I love this spread my friend Srish made for her bullet journal. 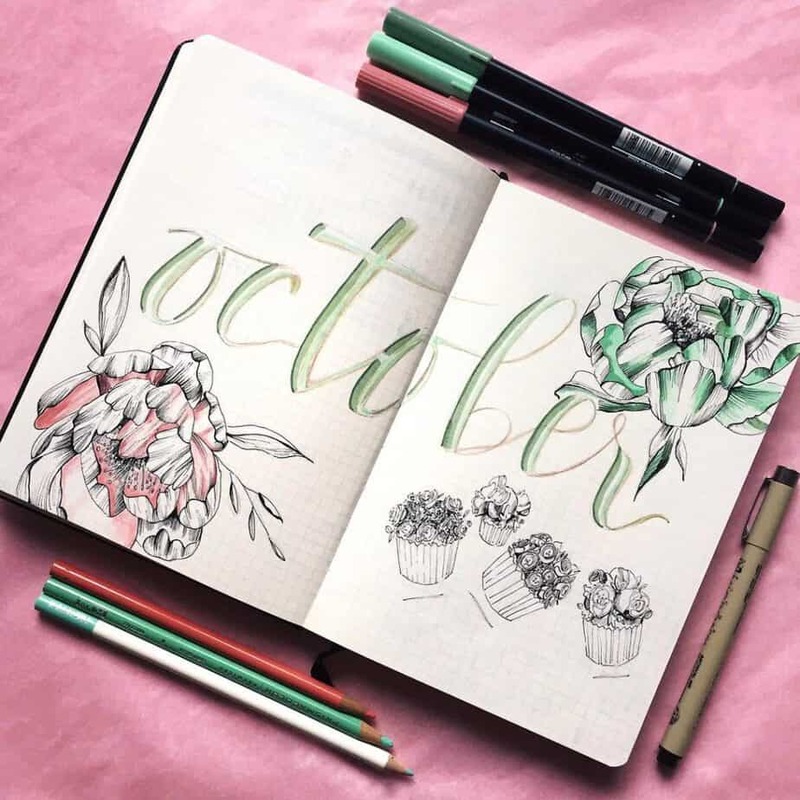 I love the classy flower doodles, and the calendar on the page is a nice touch. I love this minimalist cover page for March. She also includes a calendar in her spread, as well, along with a small cute doodle on the previous page. March begins the trend of more flowers. But you start seeing even more for April! 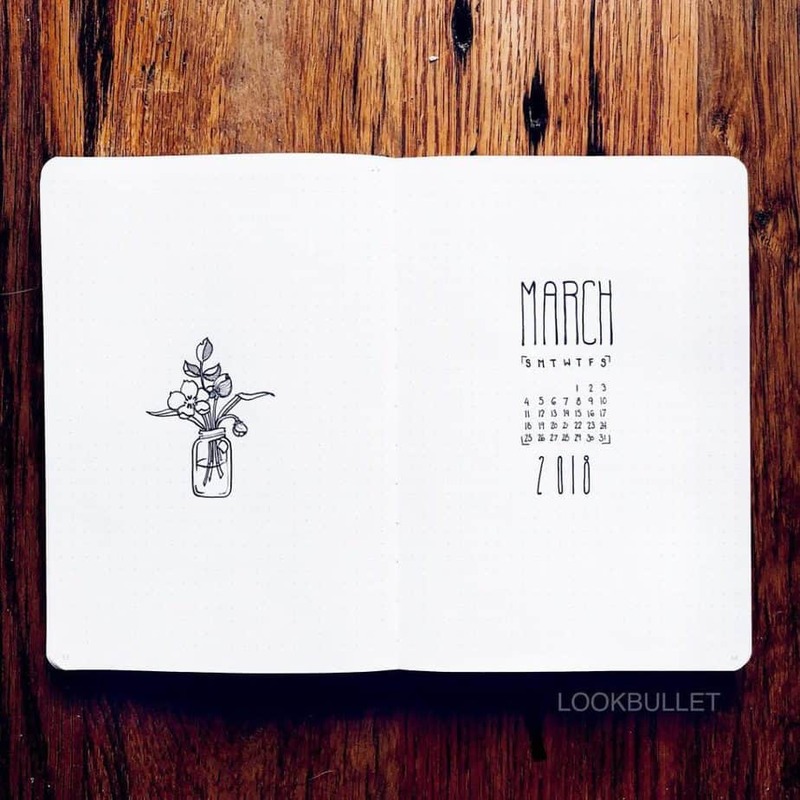 Everybody is excited about spring and not afraid to show it off in their bullet journals. Here’s another example of messy watercolor over a detailed drawing. I like how she makes some of the flowers pop in purple. Minimalist themes are always great, and you can never go wrong with a giant flower! 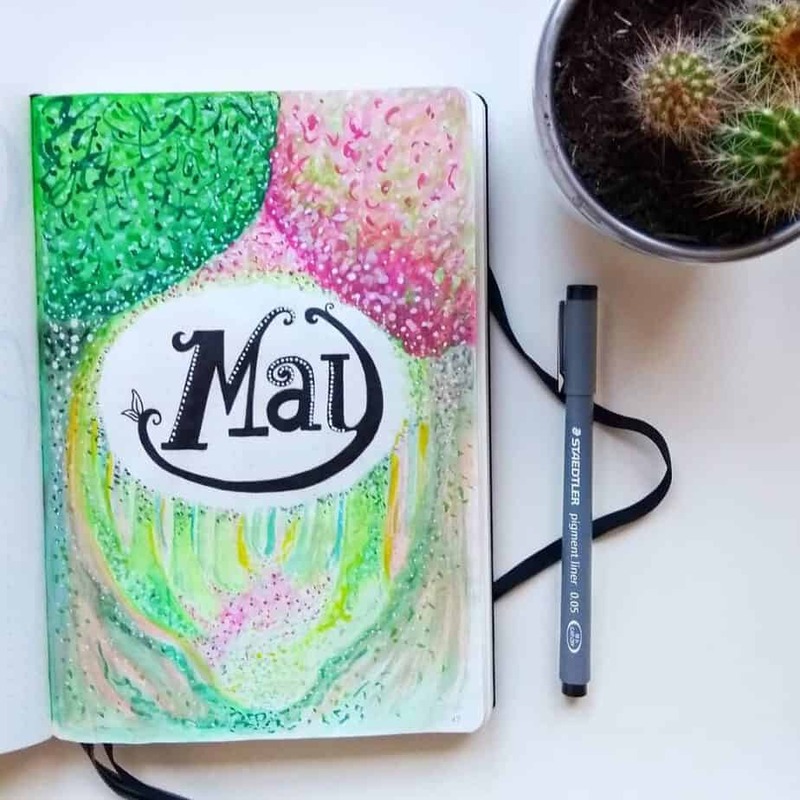 The hand-lettering on this bullet journal cover page is spectacular, don’t you think? 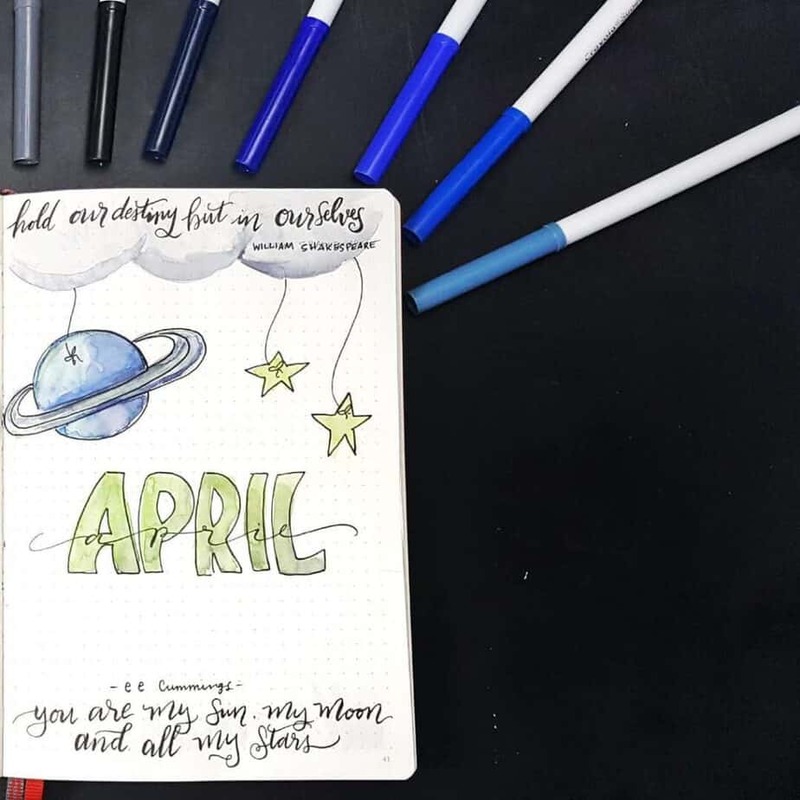 I love this easy-to-replicate April cover page featuring a pretty space theme. It’s not cluttered but includes a few great quotes and intriguing lettering. This bullet journal cover page spans two pages rather than one. I love the easy flower doodles, especially how the flowers have a dimension with one side colored a little darker than the other. She also included a monthly calendar with this cover page. Cover pages for May are often filled with beautiful greenery and flowers. 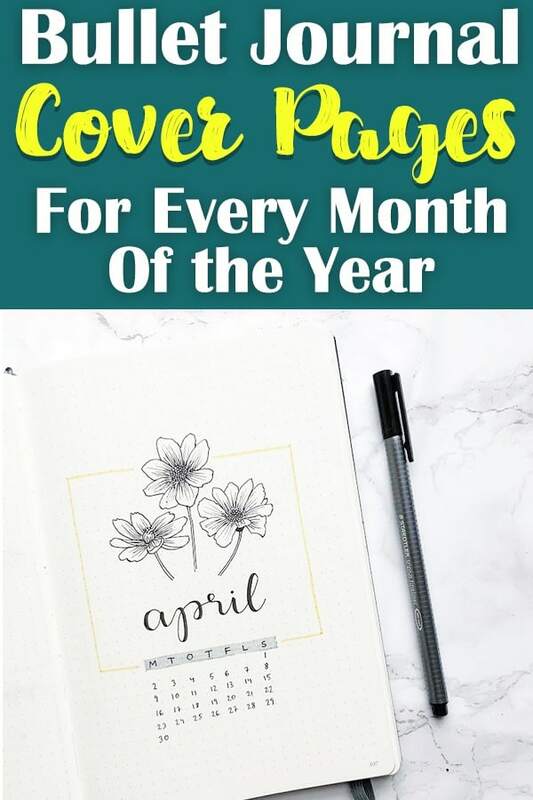 Alas, since you don’t have to use a specific theme for any given month, here are some fun ideas to try for your next cover page! I’m always a sucker for unique cover pages, like this epic one from my friend Ashlyn. She has a beautiful eye for detail. Further down, you’ll get to see even more of her amazing work! 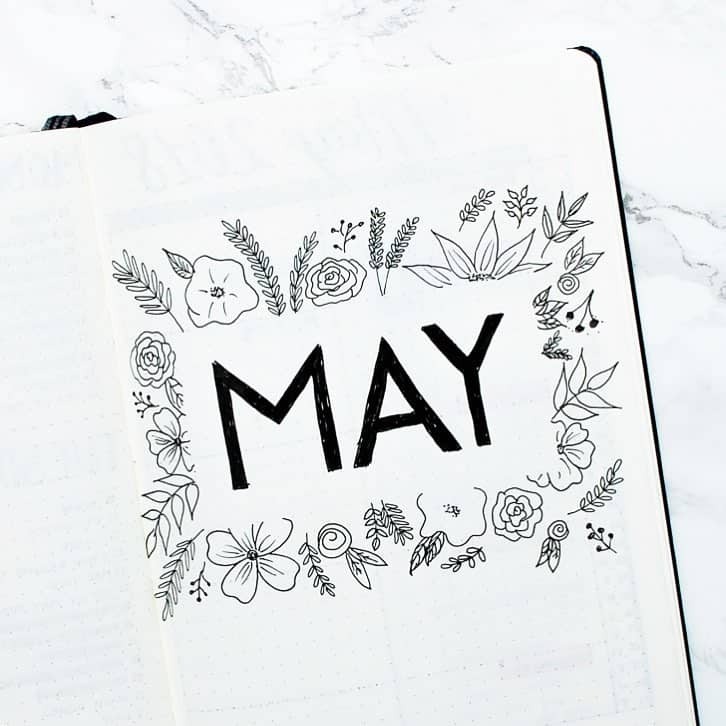 Love this delicate leafy theme for May. The light pink lettering gives the entire cover page a sweet spring vibe. The doodles are easy to draw, too! I love how this May cover page gives off a spring in the forest vibe. The font choice is really unique, too. 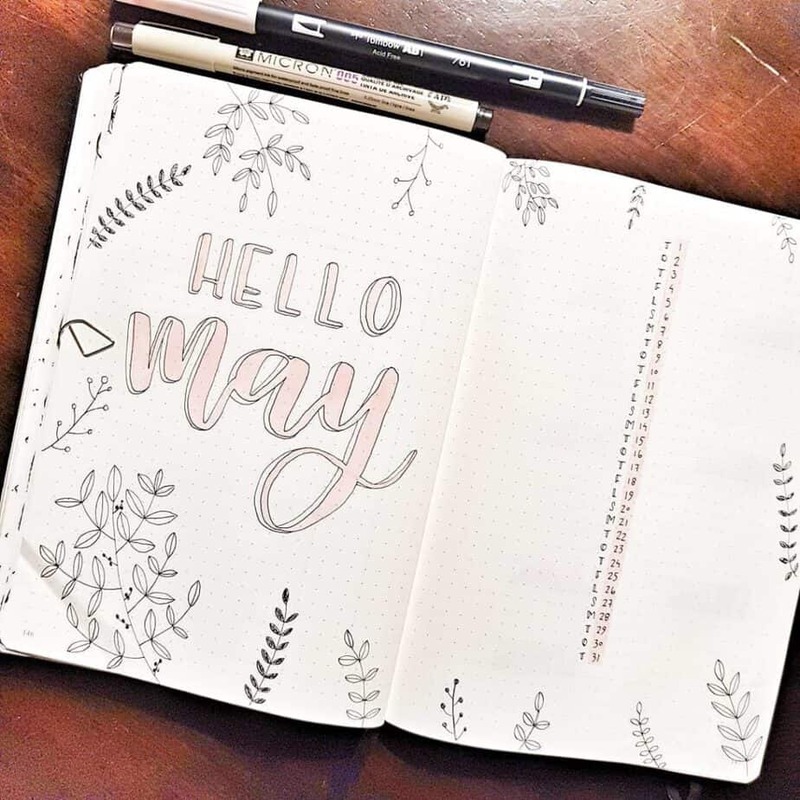 What don’t you love about this beautiful May bullet journal cover page? It’s filled with gorgeous ombre in the lettering and flowers. The doodles are light and pretty. The frame around the page is a nice touch as well. June brings warmer weather and sunshine. June is often filled with lots of outdoor themes and plant life. 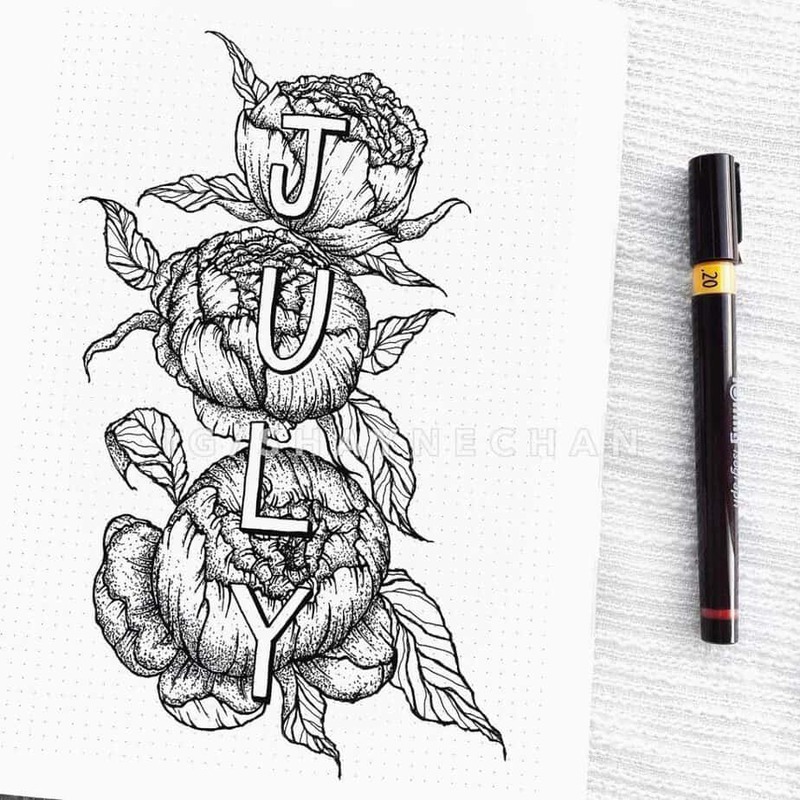 But from these examples, you see how you can really go with any theme for the month of June! Here’s another flowery forest bullet journal cover page. I love the appearance of cherry blossoms dusting the forest floor. 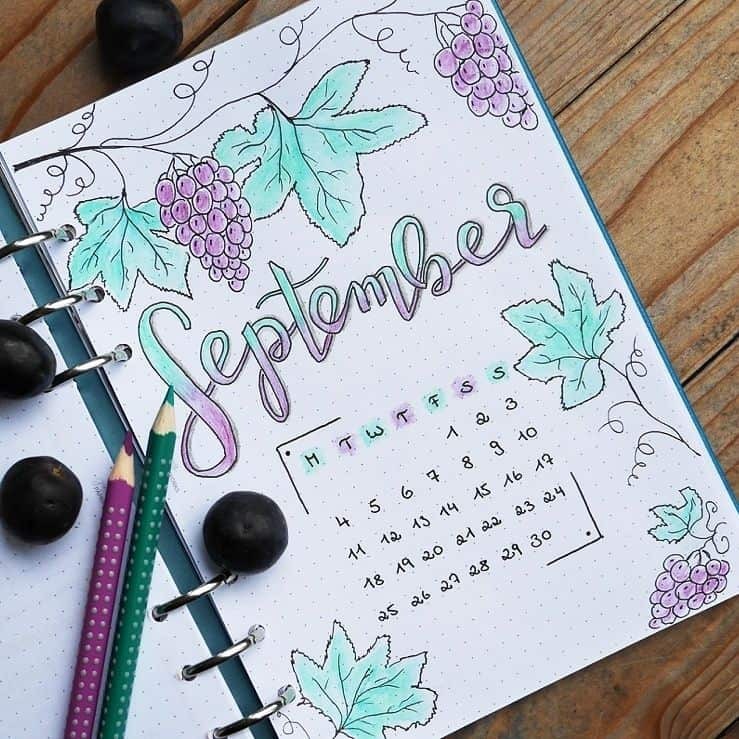 Absolutely brilliant bujo layout, don’t you think? 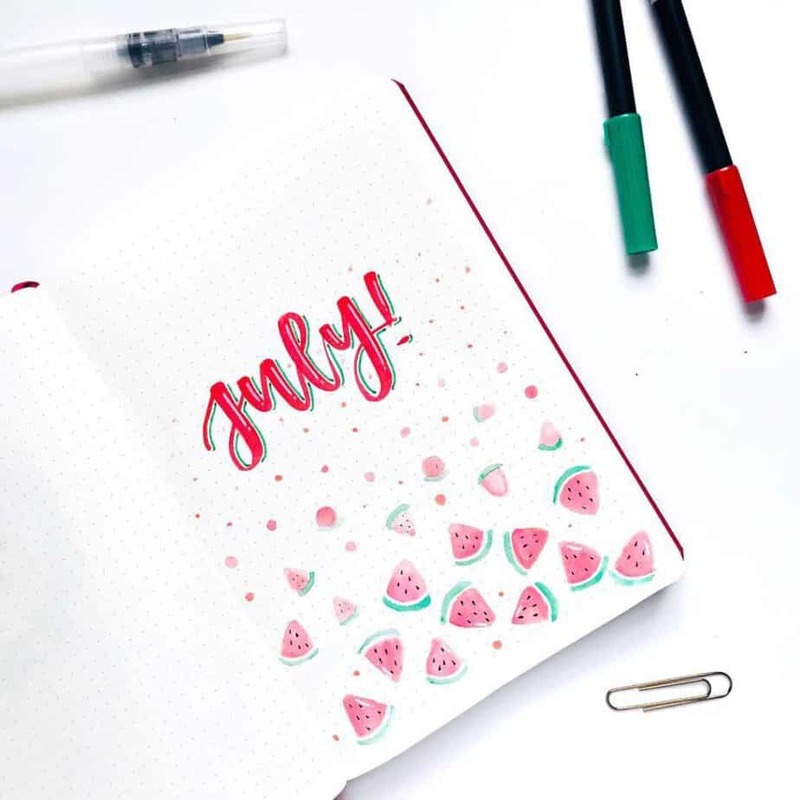 @bujo.brookie created this funky, geometric theme! I love the colored bubbles. The shading gives the bubbles a 3D appearance, too! Geometric themes truly are perfect for any month. These would make pretty Christmas ornaments, too, if you wanted to use it for December! The frame on this bullet journal cover page is absolutely spectacular. What’s fun is that this same spread could be used for January or July. Or, insert a different letter for a different month if you’d rather! This spread has been made very popular since AmandaRach created one a while back. I love getting to see different people replicate her spread, like this one here. I love the different shades of purple. The simple black lettering is a perfect balance to the drawing. Summer is now in full force, with tons of outdoorsy themes. July also brings a major holiday in the US, so there are also some great options for an Independence Day-themed cover page. 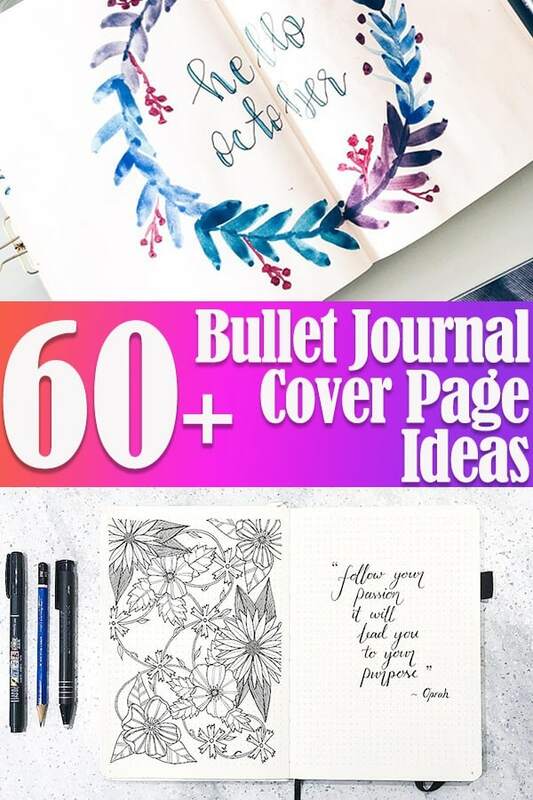 While I don’t have an example of that in this post, check out these gorgeous ideas for bullet journal cover pages. Love this beautiful gem cover page. This spread is easily interchangeable for other months of the year. If you want to get really unique, you could try some other colors of the gemstones. What’s perfect for summer? The ocean! 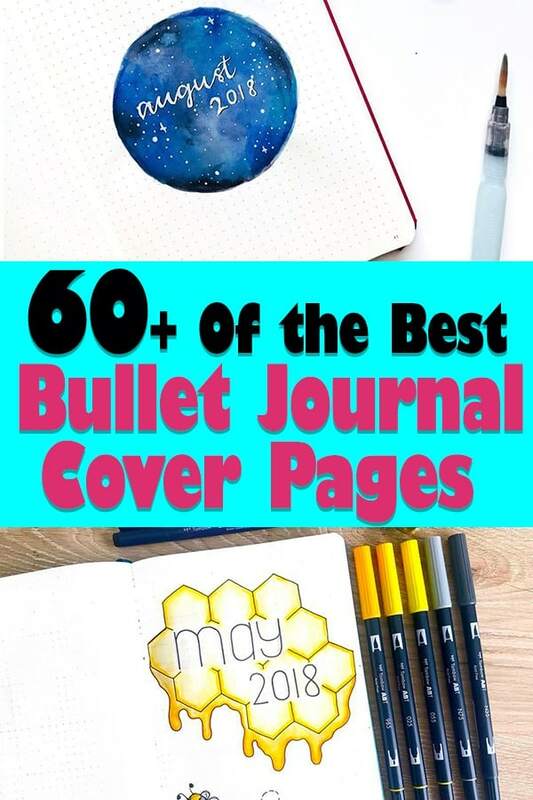 Shells are a terrific and have a ton of different design option ideas to try for bullet journal cover pages. The way the shells are built into the font is really clever. 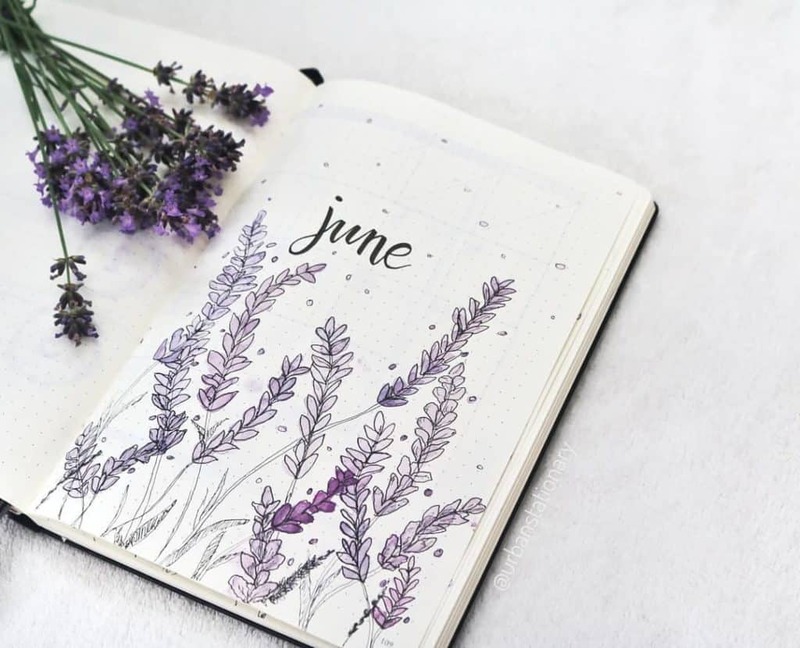 Adore this fancy flowery bullet journal cover page. It’s so incredibly detailed in design. The block font is really pretty with how it sits over the drawing. You can’t have summer without watermelon! This fun page is easy to draw while appearing crisp and pretty. Love how the watermelon colors are a lighter version of the same colors in the font. 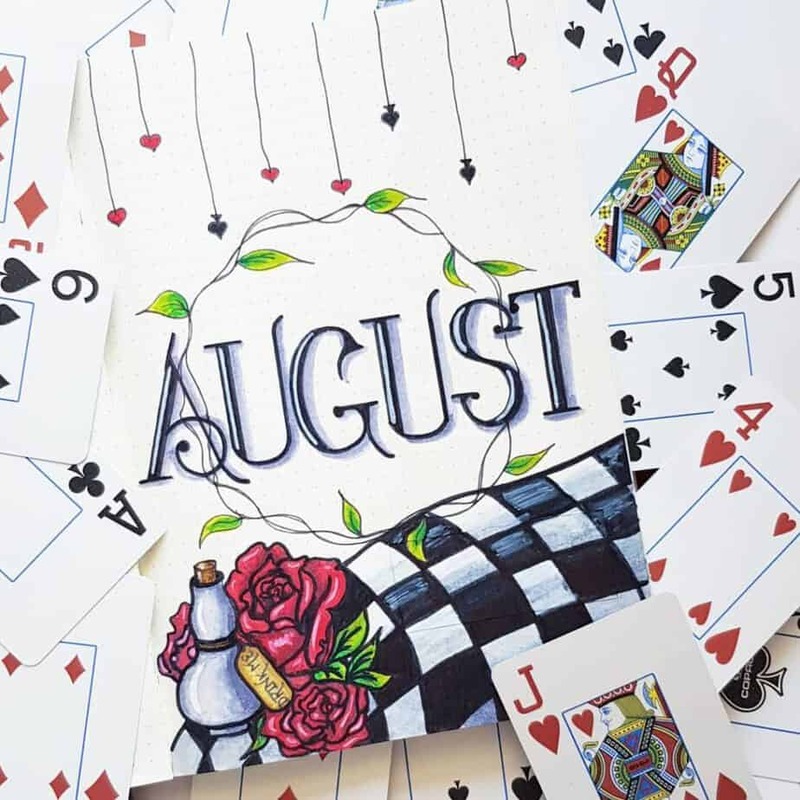 Summer is beginning to wind down for August, but there are lots of different bullet journal cover pages you can try for the last full month of summer. Get inspired by these spreads below! This bullet journal spread is so funky and unique and great for the card and games lover. The colors are very vivid and pop off the page. 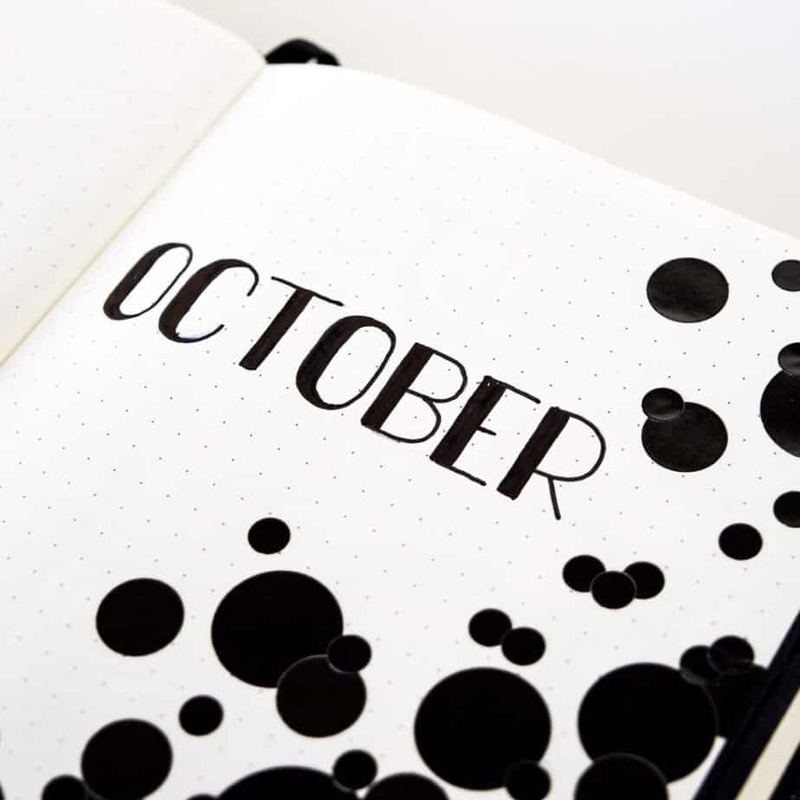 You can use any month for this flexible type of theme. 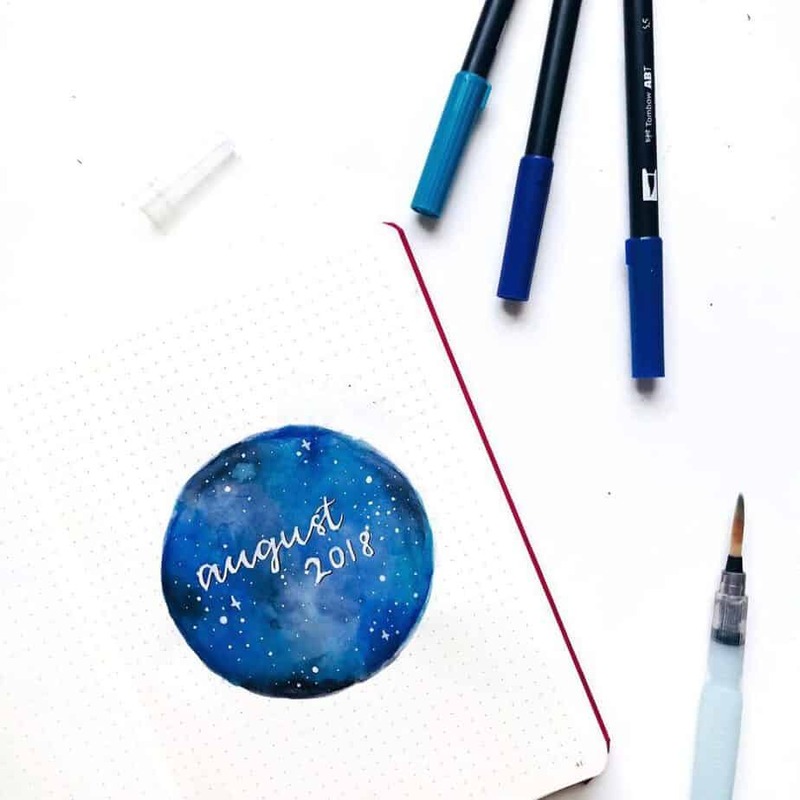 Stargazing is a fun activity for summer, and this cover page idea perfectly reflects a unique galaxy theme you can use for August (or any other month!). 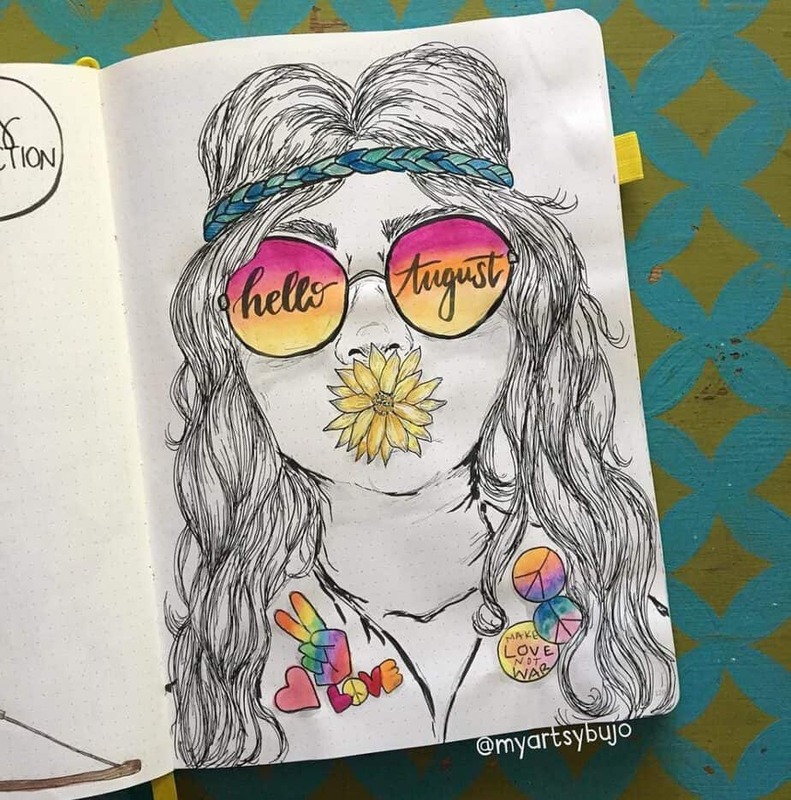 You don’t see many hippy-themed bullet journal cover pages, but this one by Elizabeth is spectacular! 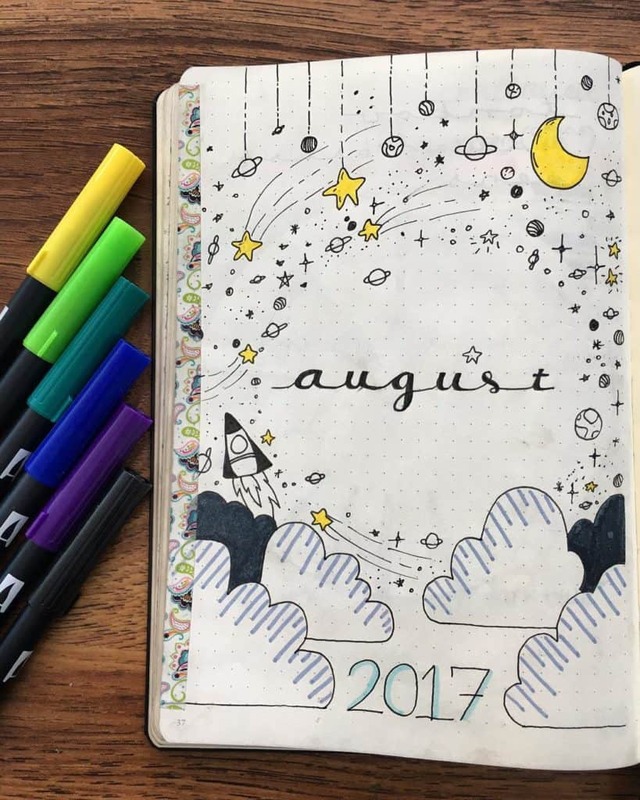 Mostly black and white, with pops of groovy color give this bullet journal spread truly unique flair. More beautiful sky scene ideas for great cover pages, like this one here! This one has more of a watercolor vibe. 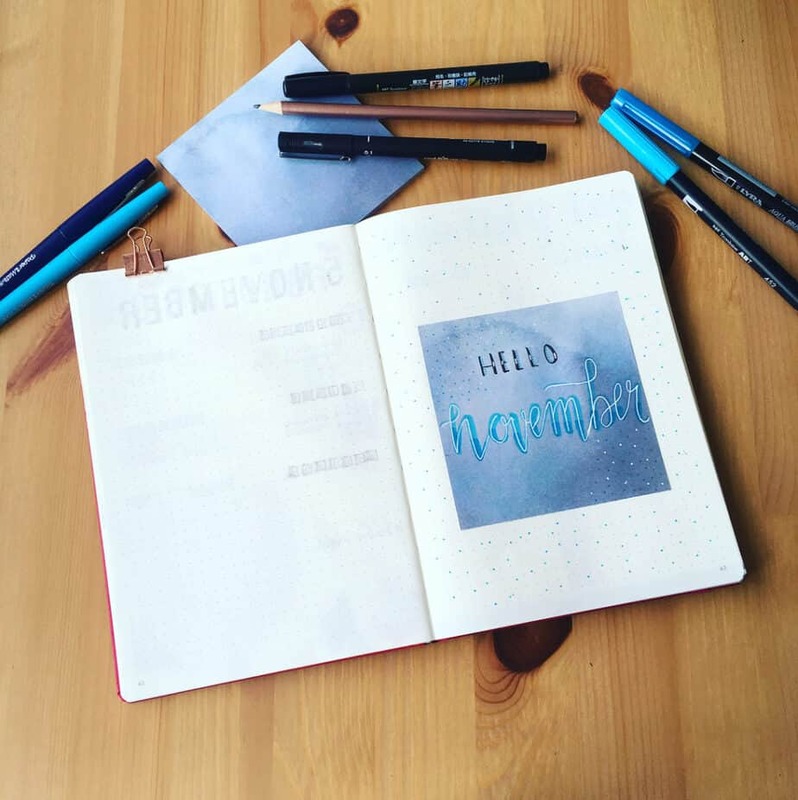 White gel pen makes for beautiful stars setting over the watercolor on this bullet journal layout. 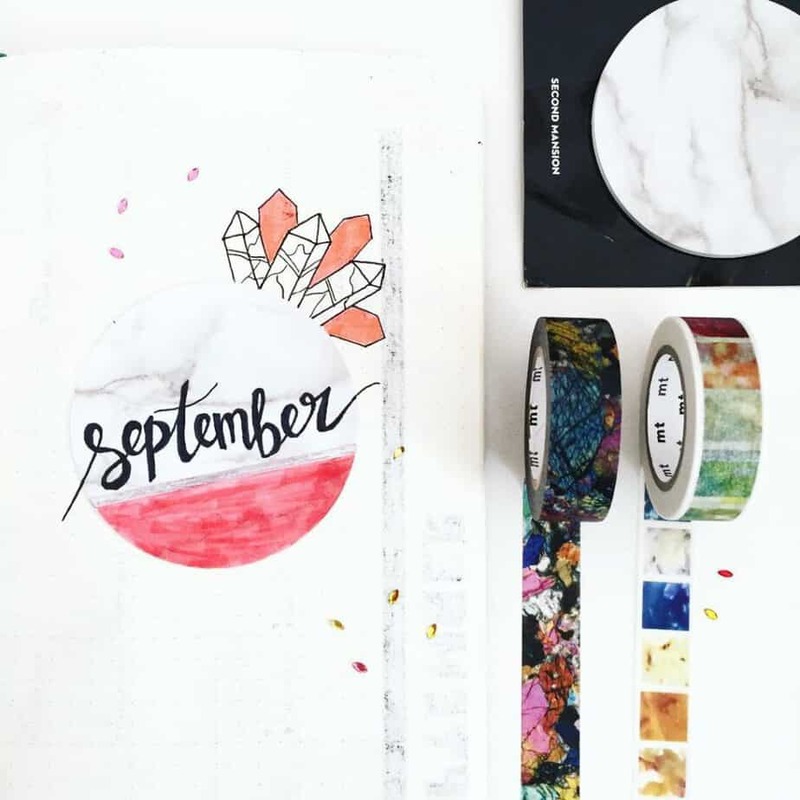 September introduces autumn themes and vibes on many cover page spreads. 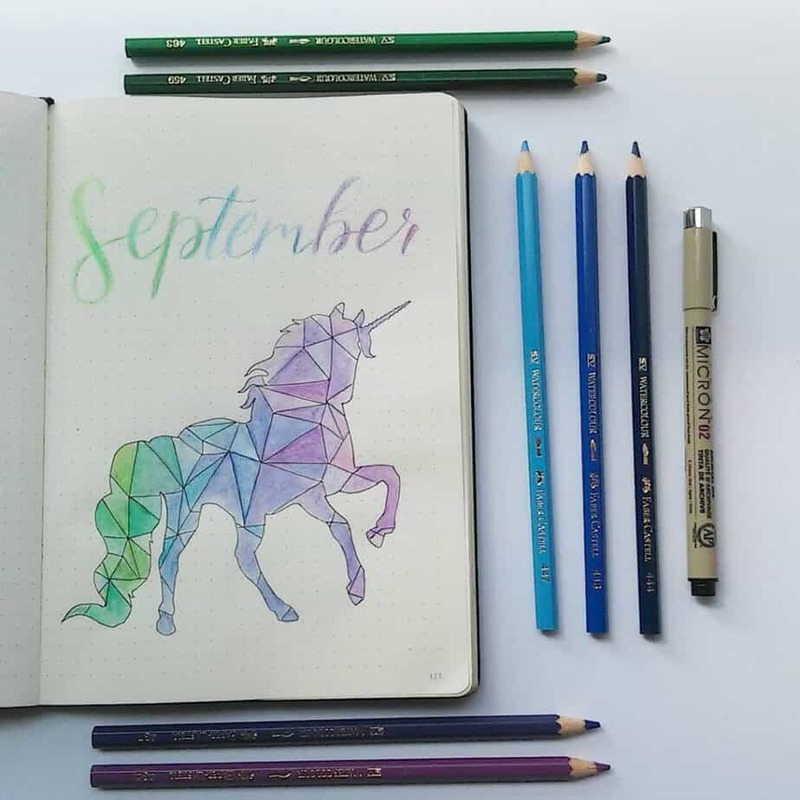 I’m a sucker for unicorns, and this beautiful cover page tells me that we need more unicorn themed cover pages out there! 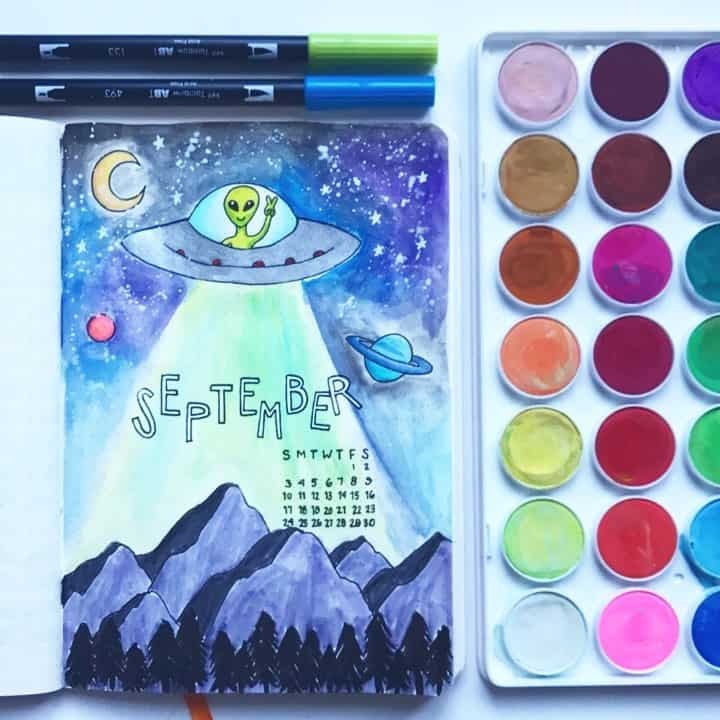 If you need a truly far-out bullet journal cover page idea, this perfect space and alien theme is perfect for any month of the year! This fun fruit themed cover page is great for any month of the year. Love the softer colors of the colored pencils coloring in the drawings. I love a unique look for a bullet journal cover page, and this page is super fun with cool colors and beautiful calligraphy. 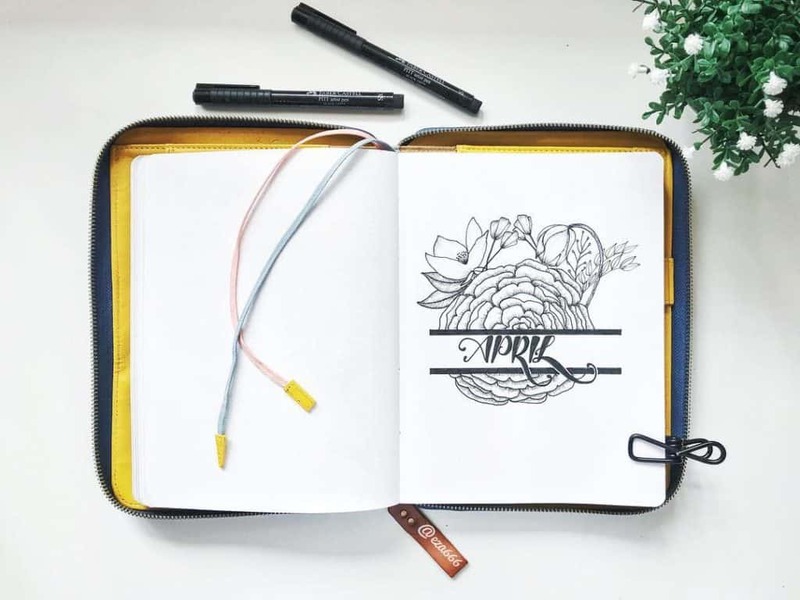 When it comes to holidays, people love to show off their most favorite ones within their bullet journal cover pages. Halloween always seems to be a fan favorite holiday in the bullet journal community. When October rolls around, you’ll find no shortage of stunning cover page ideas for Halloween. This gorgeous spread has intricate flower drawings with pops of gold. Unique and memorable, that’s for certain! 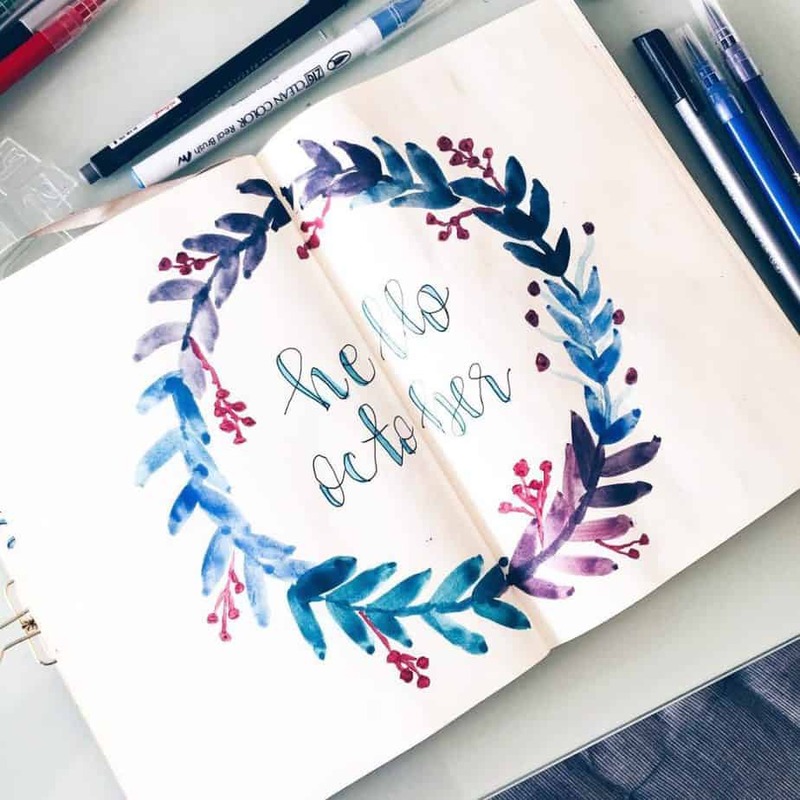 I can’t get enough of this Hello October cover page from Sheva. The watercolor gives it a very magical appearance. 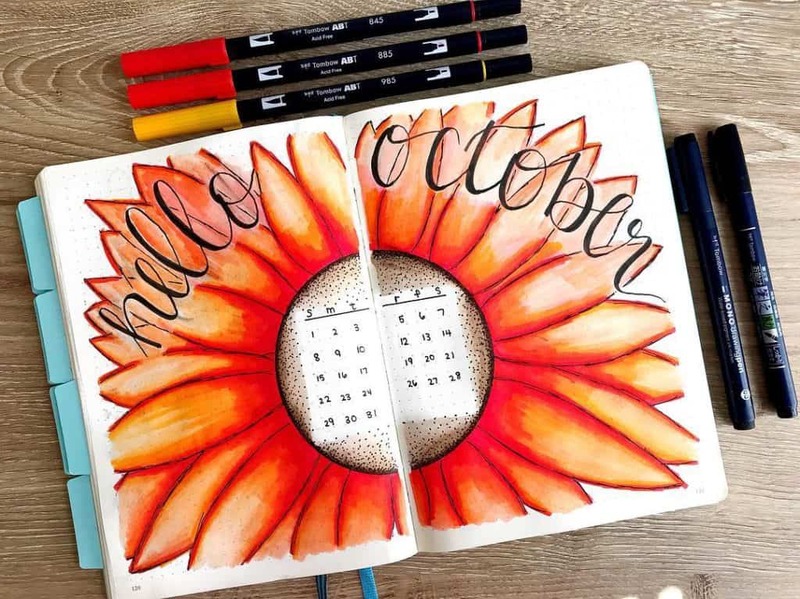 This vibrant sunflower spread by Ashlyn is so incredible. Love the vivid orange, perfect for October! I love this sweet floral spread. The black and white doodles are beautiful for the sweets, and the flowers have nice pops of color. November brings more fun holidays and cooler weather. 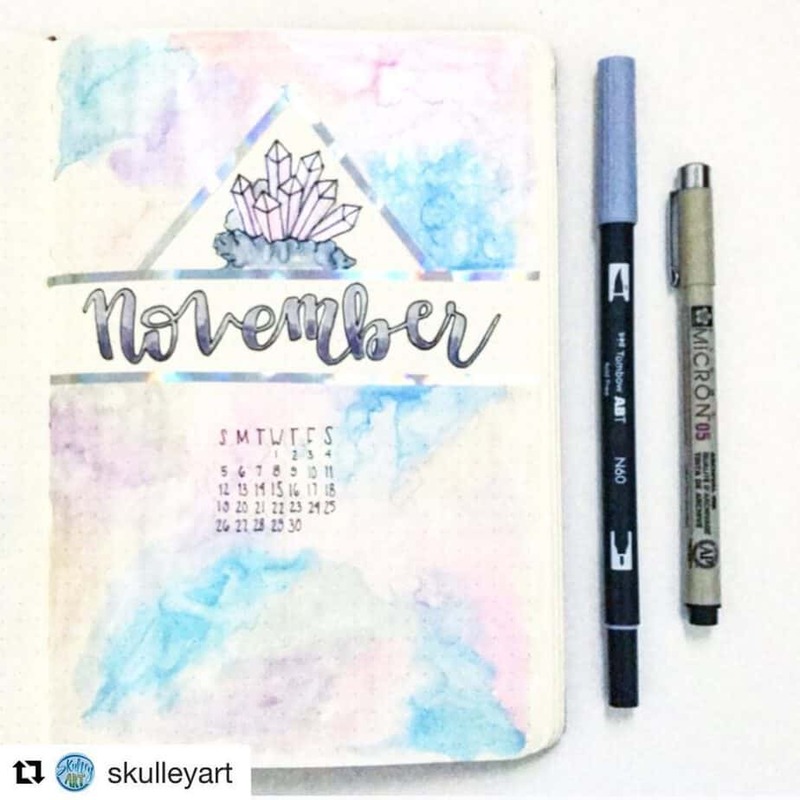 Whether you choose to stay on topic or do something totally different, here are some spectacular bullet journal cover pages for the month of November! Another great gem-themed spread from my friend Sarah. The coloring is reminiscent of a subtle gradient you’d find on gems, too. Love the girl floating on a balloon. It’s unique and pretty. The dots also give the cover page a softer feel. Great choice for any month! 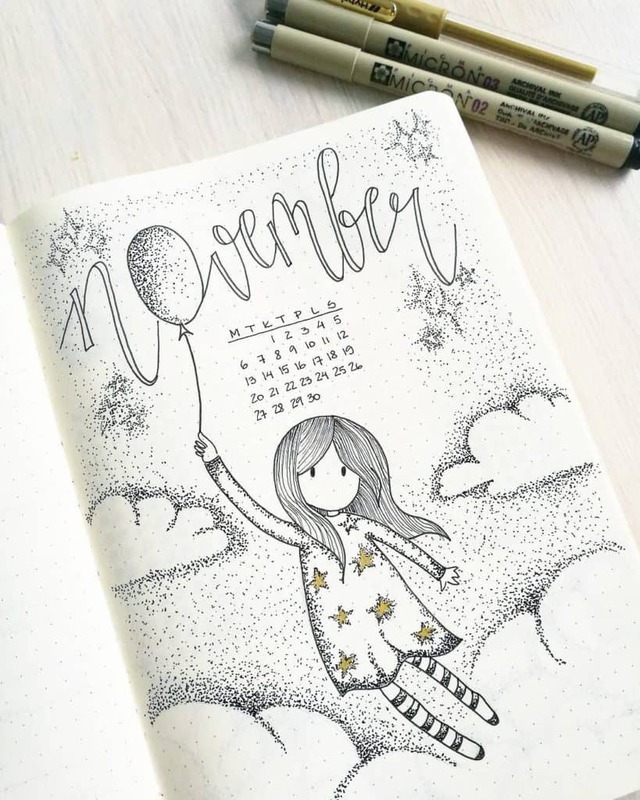 This feathery theme is beautiful and intricate, but as you can see would be very fun and easy to replicate in any month of your bullet journal. I love this misty, foggy look for her Hello November theme. I think that it almost looks like looking out a window into the fog, and I know we get a lot of fog in the fall and the spring here. December brings good food, amazing holidays, cold weather, and tons of traditions. 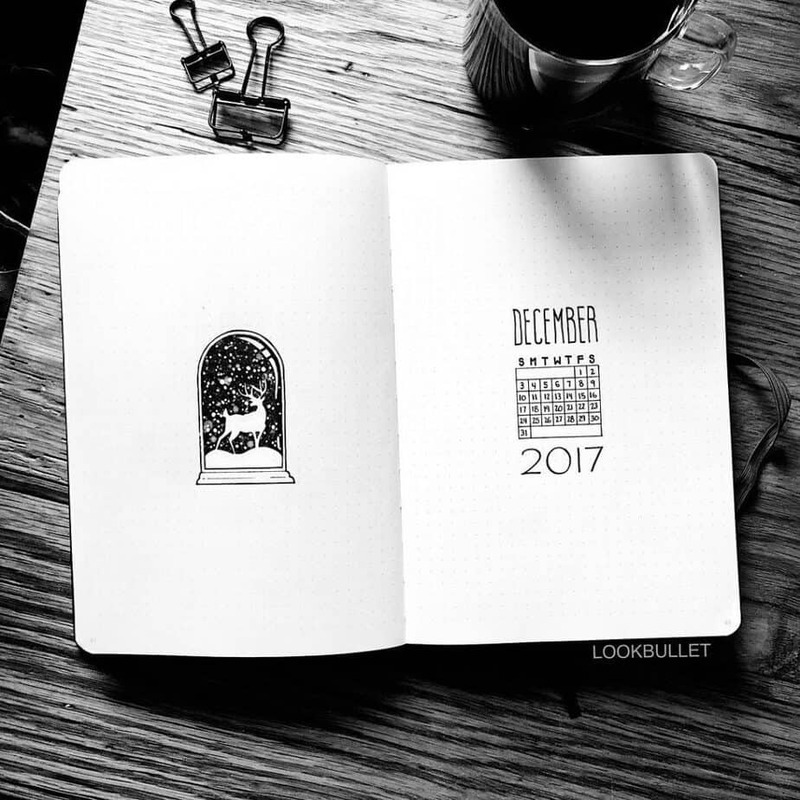 People love getting the opportunity to showcase all of these within their bullet journal cover pages for December. Shayne has one of my favorite Christmas spreads with these bright lights (and Nyan cat, too!). I think it’s very memorable and perfect for the season. Pretty ornament and mistletoe for the holiday season! 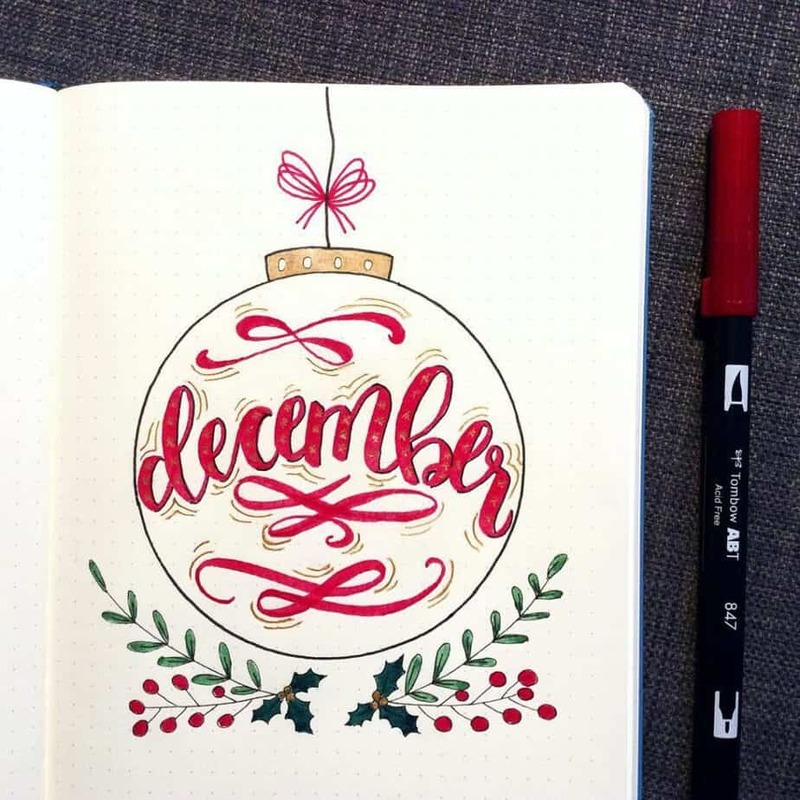 Love this subtle coloring on the ornaments for this bullet journal cover page. I cannot get enough of this cute, minimalist snow globe cover page. It’s beautiful and intricate, but not complicated or challenging to recreate. A truly perfect idea for any winter cover page spread. 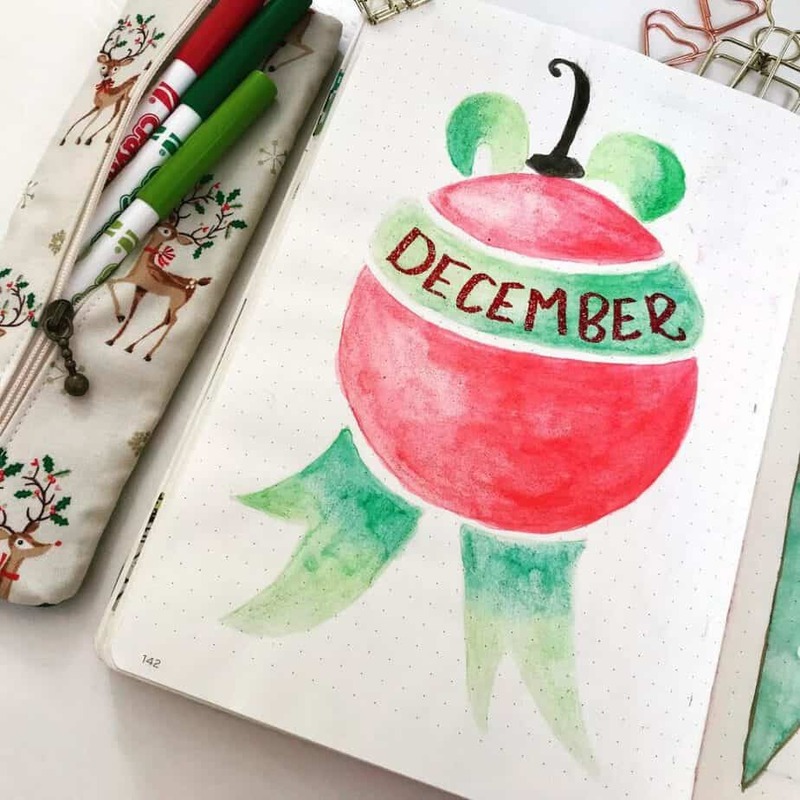 If you’re looking for other bullet journal spreads perfect for the winter holiday, you’ll definitely want to take a peek at these 7 Bullet Journal Christmas Ideas! Most of the time a bullet journal cover page is the transition period between months. But sometimes, the cover page can also present the opportunity to show off other important events, scenarios, quotes, words… or even just amazing art! There are some fabulous cover page options just include quotes that are meaningful to the user. Sometimes cover pages may also contain a ‘Word of The Year’, or a word significant to the duration of a bullet journal. 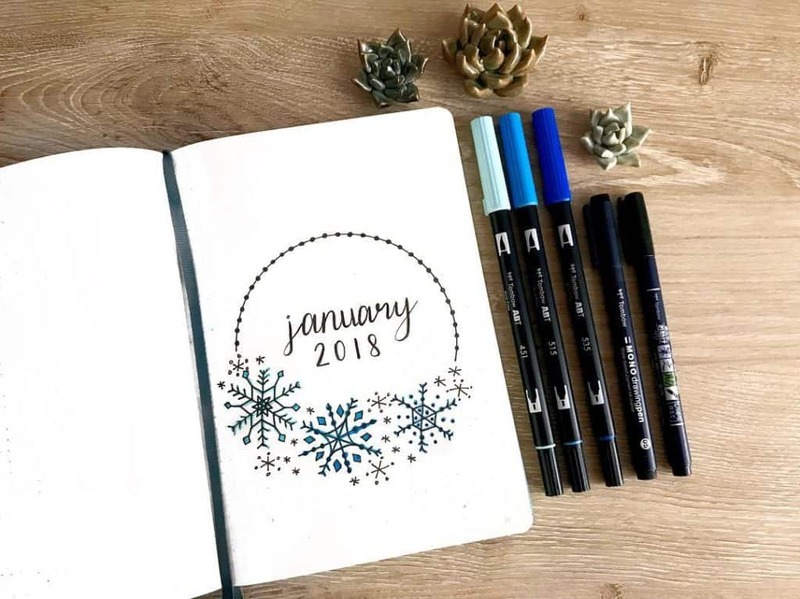 Here are some terrific examples of amazing bullet journal cover pages for December that you’ll want to try out. 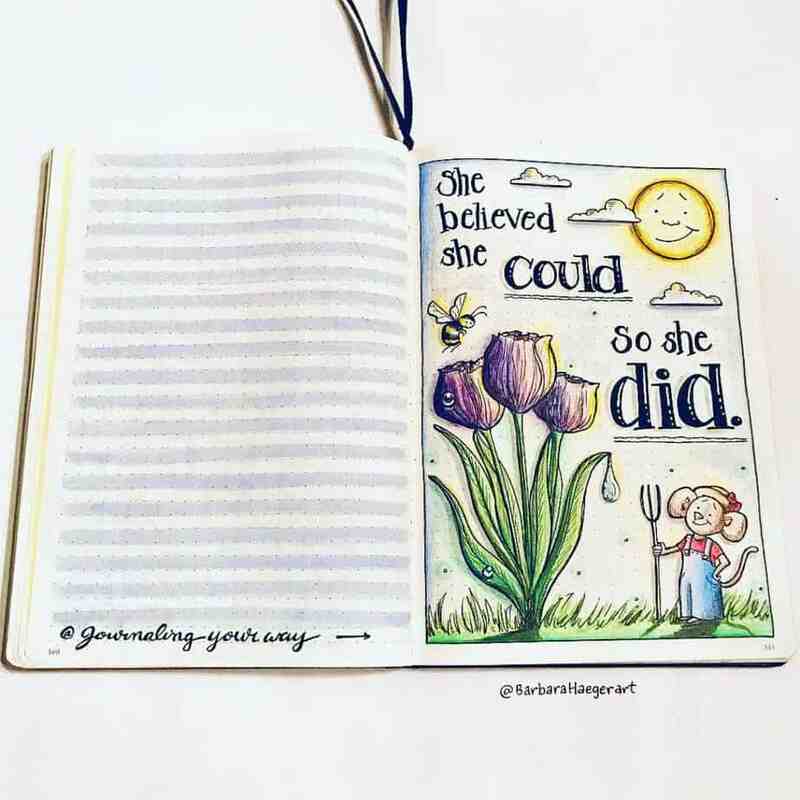 Here are some gorgeous bullet journal cover pages that highlight the use of quotes, sayings, or meaningful words. 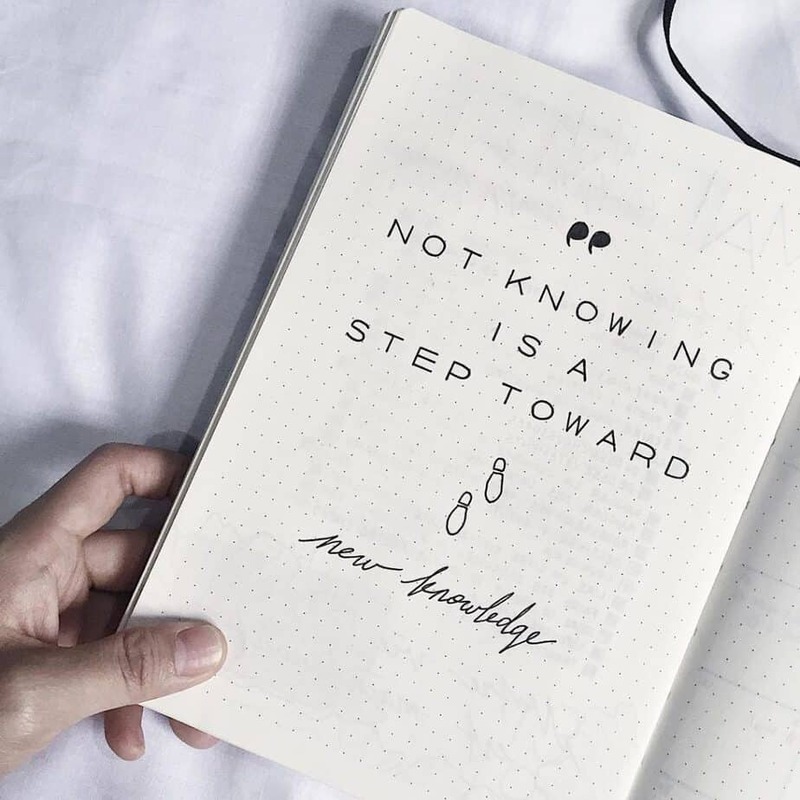 A great quote is a necessity for a bullet journal spread. 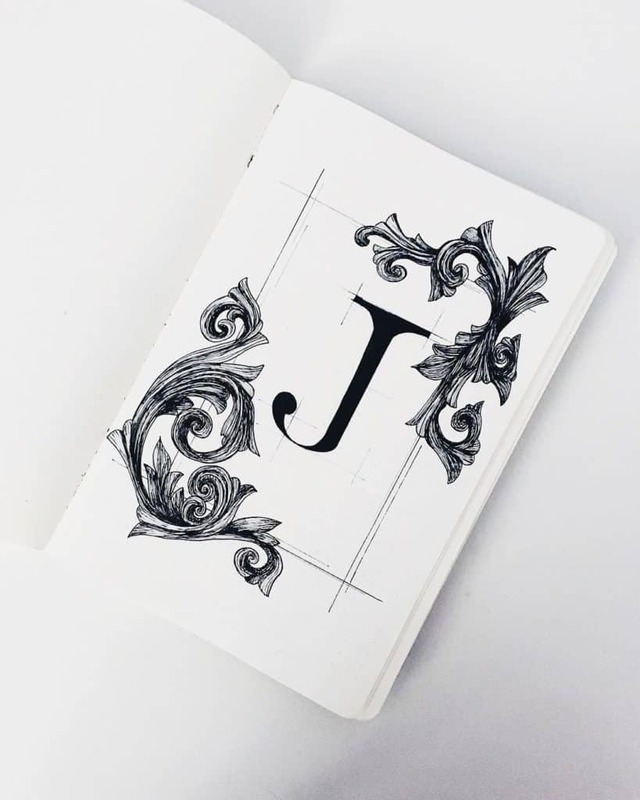 It can signify a meaningful concept, or provide powerful reminders to yourself in your bullet journal. 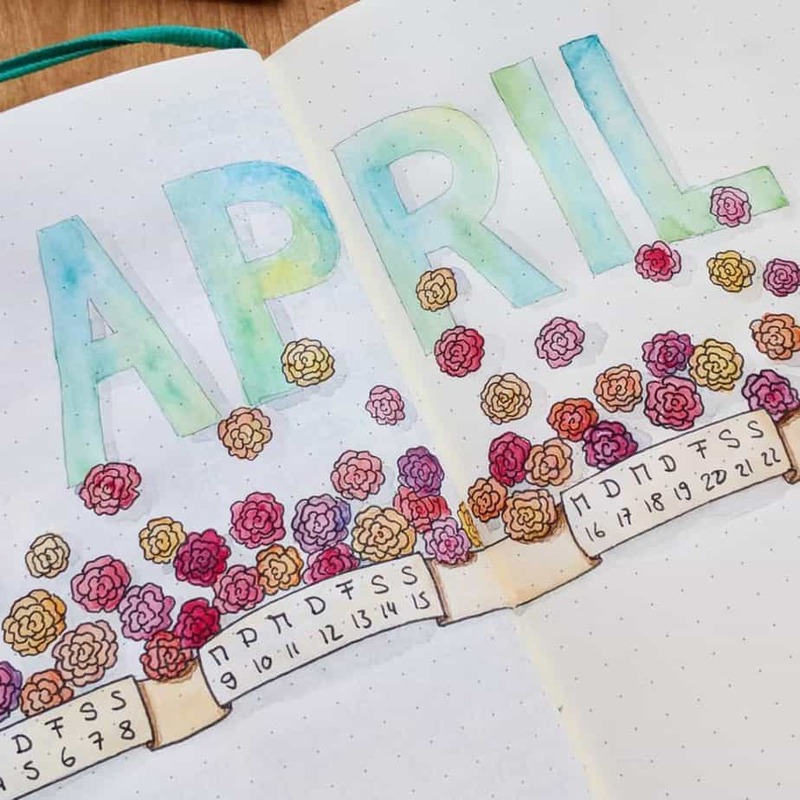 Love this subtly colorful bullet journal cover page idea. Love how only some of the flowers and leaves are colored in subtle pinks and greens. I really enjoy how this picture was taken outside, too! Truly in the element. I love this bullet journal cover page based on a terrific word of the year choice. I think that the flower doodles are a perfect example of the word, too. Flowers truly have to adapt to many different conditions. Yet they are able to bloom and show off beauty almost anywhere. Fun quotes are a blast to include in any bullet journal cover page. If you’re stuck with an awkward extra page, quotes are a perfect way to fill the space. They say a picture is worth a thousand words, and some of the best cover pages contain no words whatsoever. 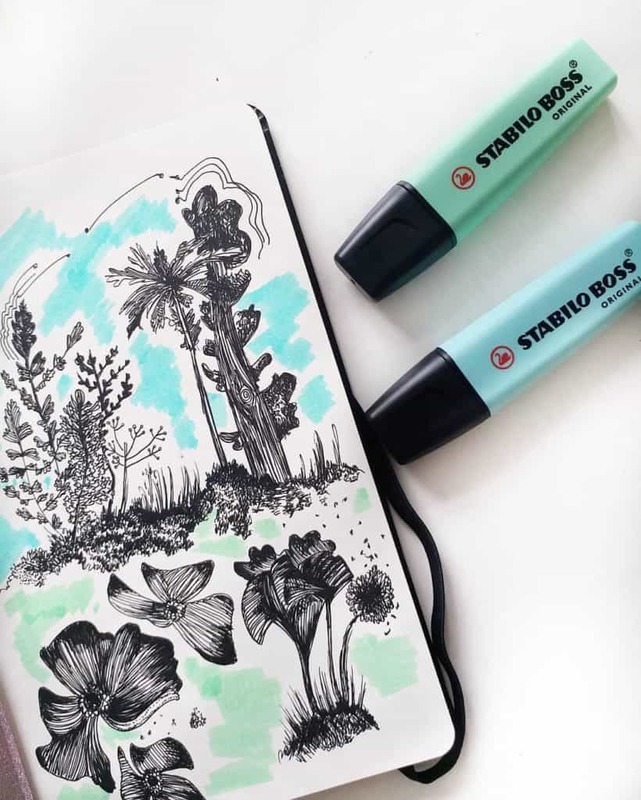 Without words, bullet journal users have the freedom to use the entire page to show what their art means to them. 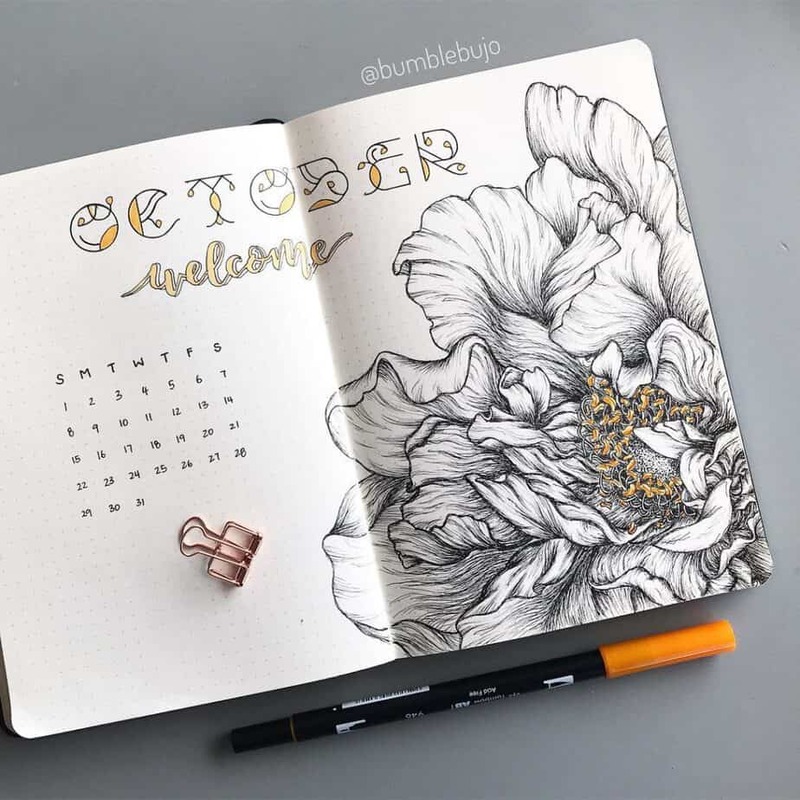 These epic flower doodles are so complex but are amazing eye candy for this bullet journal. Not to mention, there’s even a quote cover page right next to this doodle page. Sometimes it’s fun just to show off a little bit in your bullet journal, right? 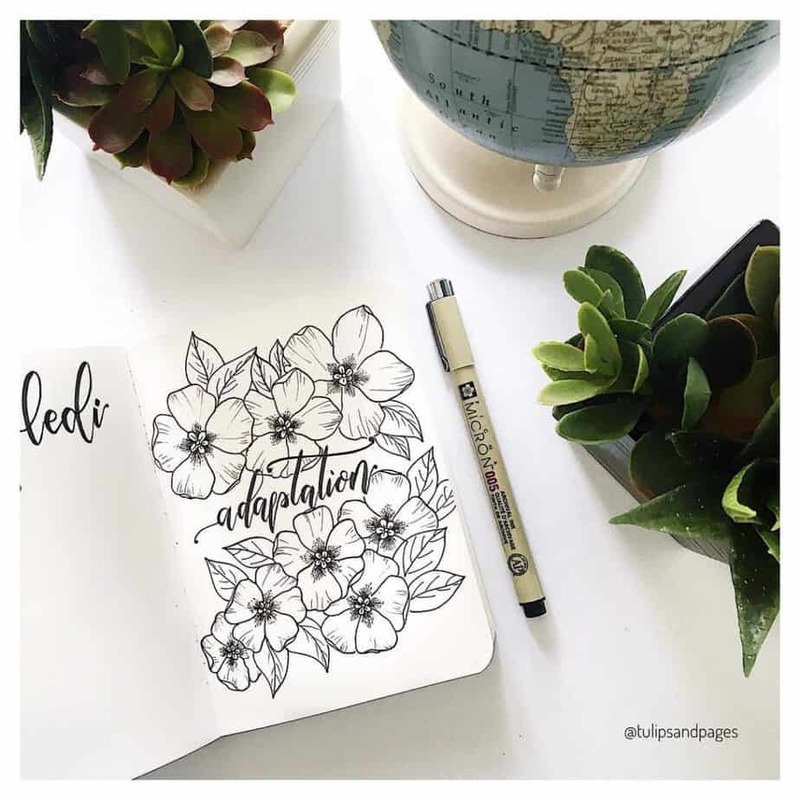 If you struggle with drawing flowers, make sure to check out this epic Flower Doodle Drawing Tutorial for bullet journal spreads. Supplies Used: Scribbles that Matter A5 Dot Grid Journal, Tombow Fudenosuke Brush Pen, Sakura Pigma Micron Fineliners. 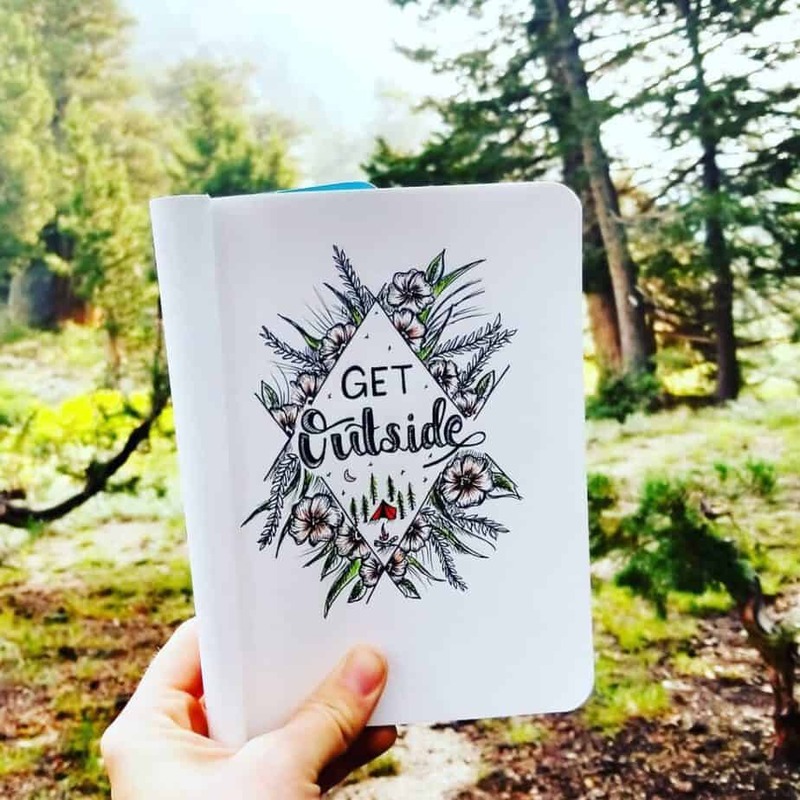 You can truly see how outdoor settings are a popular theme idea for bullet journal spreads. I love how while this spread has intricate flower drawings, there are also some simplified splashes of color around the drawings. 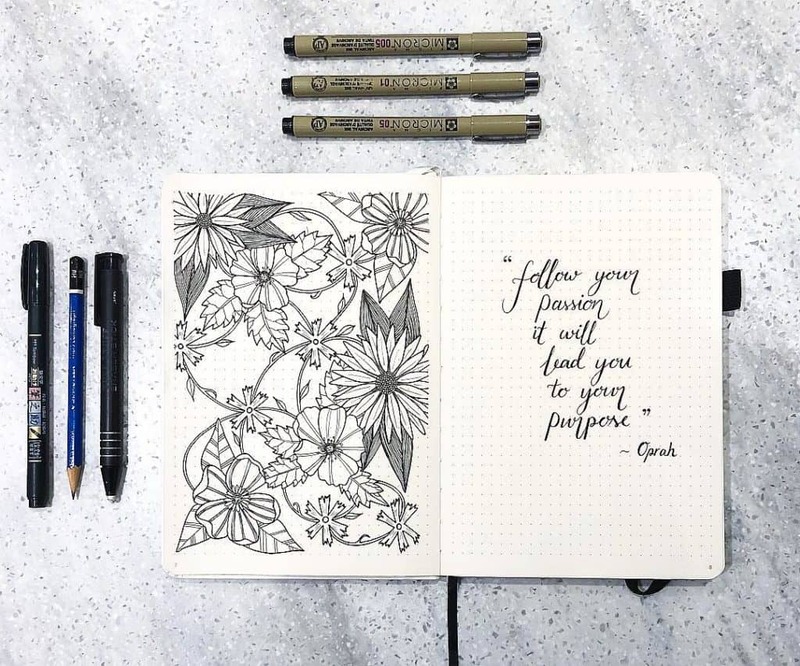 While this bullet journal spread includes a quote, I really believe that the drawing is the highlight in this layout. Isn’t it gorgeous? It’s fun, unique, and very detailed. Not to mention, I think the quote is a perfect fit right around the picture. 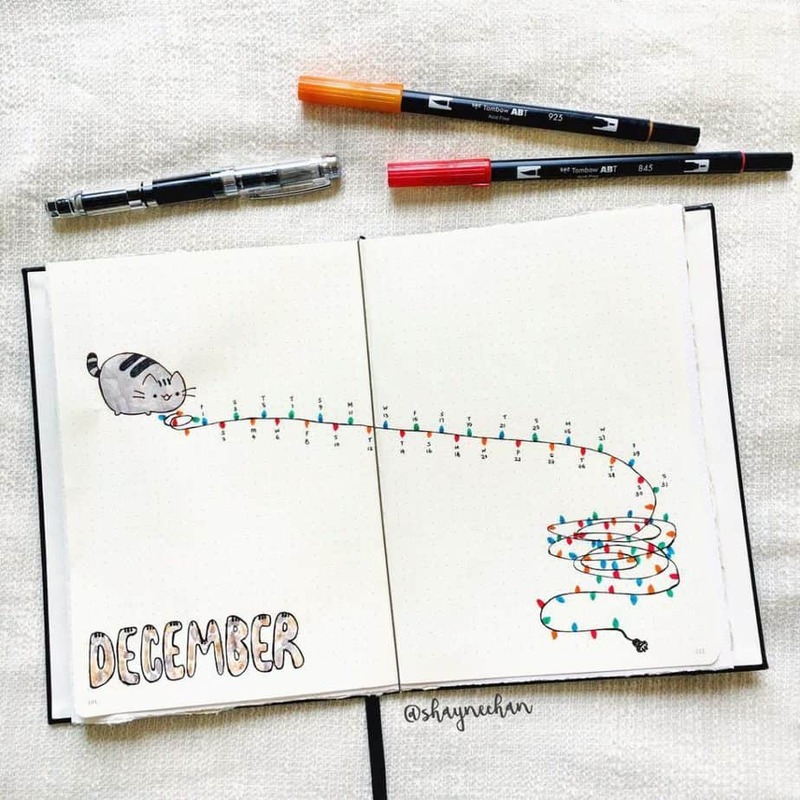 This drawing is so beautiful and a true testament to the talent that some people possess in the bullet journal community. While this must have taken time to create, it’s absolutely divine to look at. 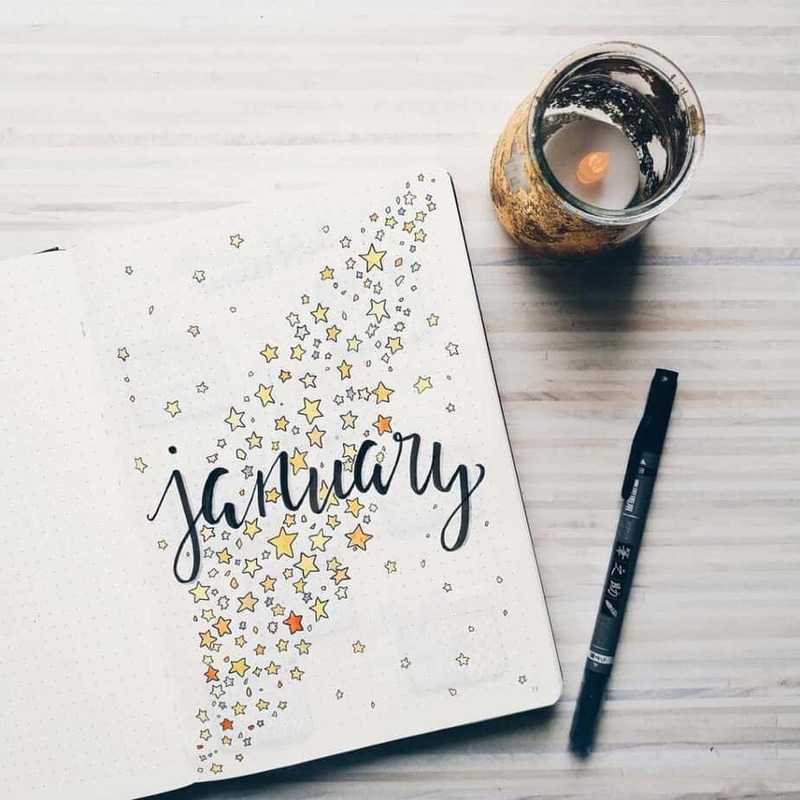 The most common time for people to refresh their bullet journal is at the start of the year. That said, often there are some spectacular bullet journal cover pages to commemorate the year to come. 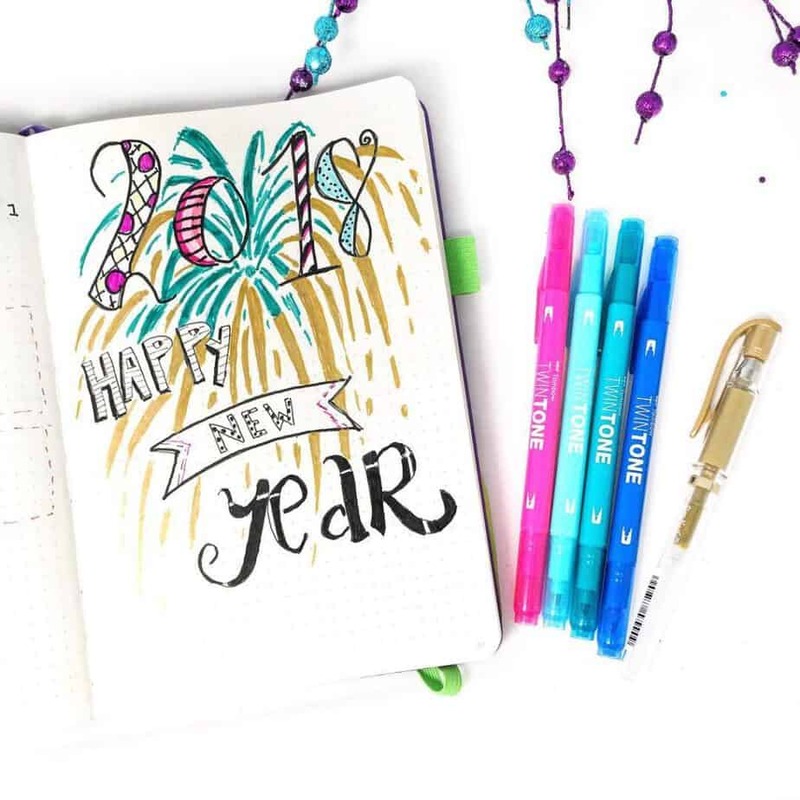 Here are some great bullet journal spreads filled with epic cover pages for the New Year! 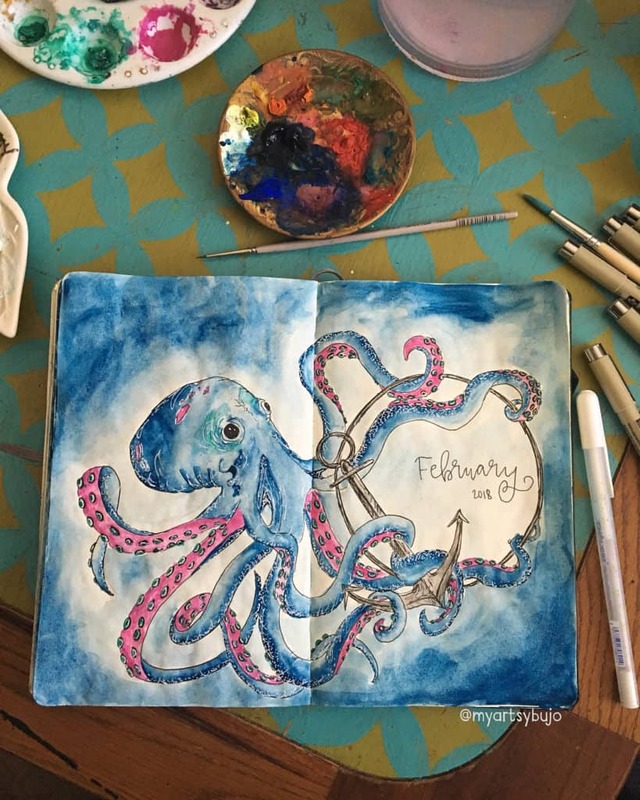 My friend Kimmy is one of my favorite artists in the bullet journal community, and a quick peek at this spread explains why. 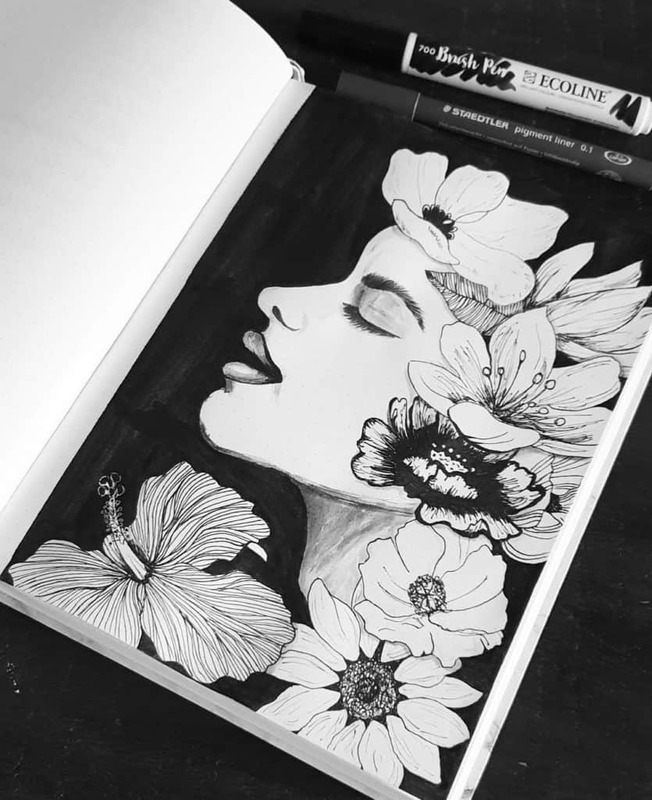 She creates some of the best bullet journal flower drawings ever. I love the 3D feel of the font, as well. I had to show off one of my very favorite bullet journal cover page spreads I made for the New Year! 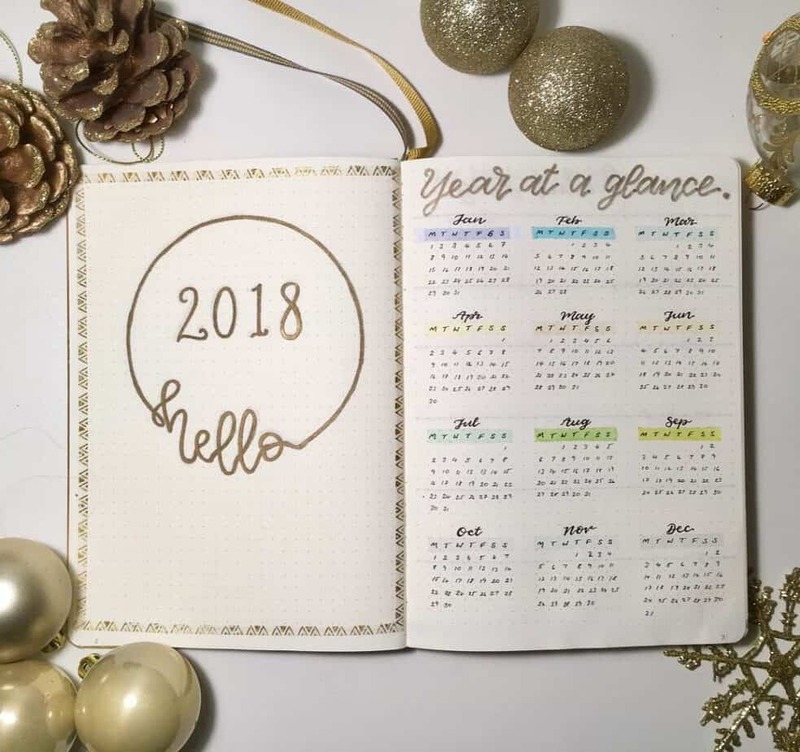 While it’s written for 2018, change the year for a classic layout you can use for a future New Year. 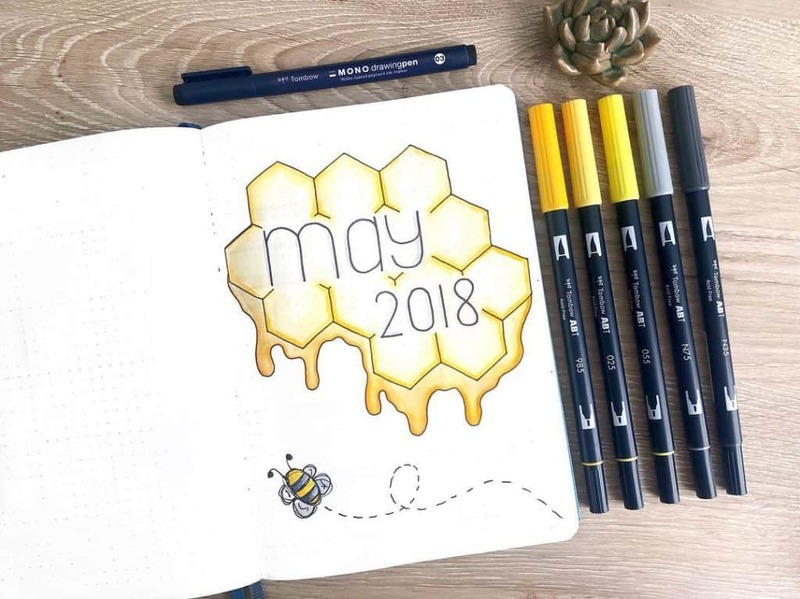 Even more gold goodness in this beautiful bullet journal spread. The gold washi adds a nice touch framing this cover page. 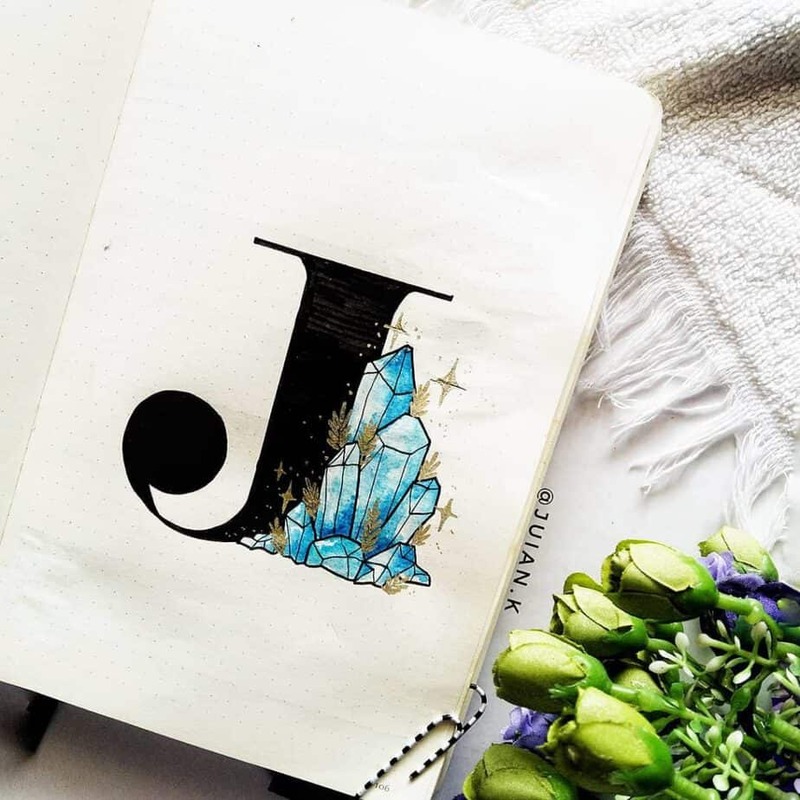 If you’re looking for even more epic bullet journal cover page inspiration, look no further with these amazing resources below. Let’s provide a BIG thank you to my followers from #plannerpicturefeature on Instagram who contributed to this post. I wish I could have put all of the cover pages on this post, but a post with 500 images would get a little big! 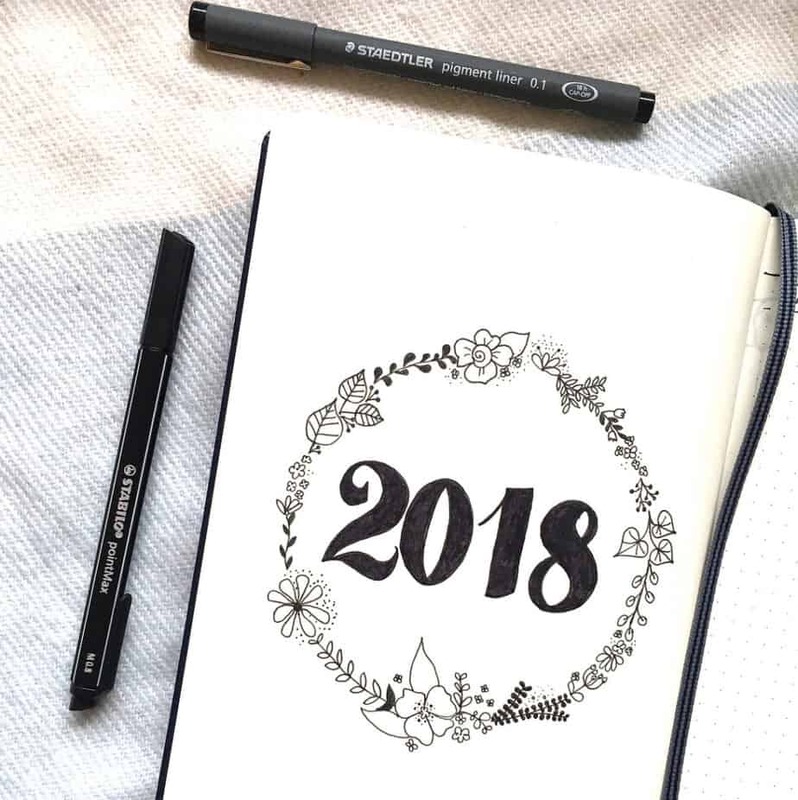 What was your favorite bullet journal cover page featured in this post? I’d love to know in the comments! 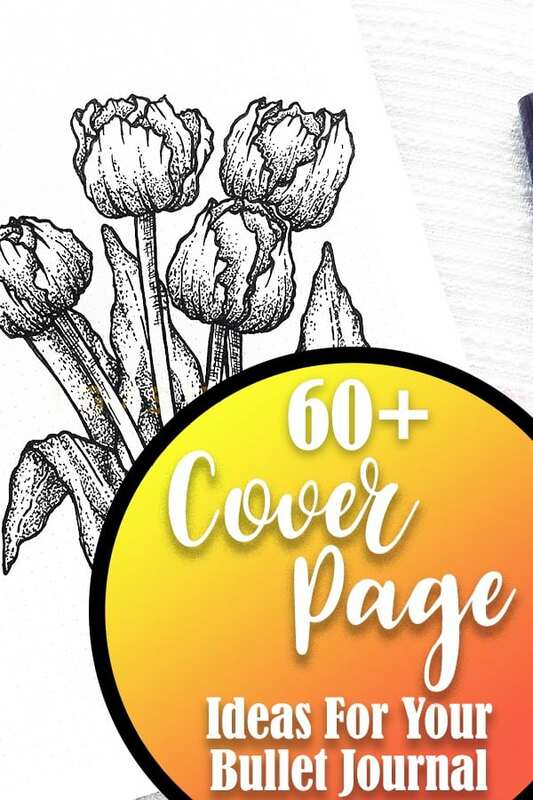 Get tons of inspiration for your next cover page? Share the inspiration by repinning on Pinterest! Thanks for the feature! You’ve found some great examples and I’m definitely coming back for more ideas in the future. I am such a planner. I just love these bullet journal cover pages. They are so pretty and inspiring. Thanks for sharing.